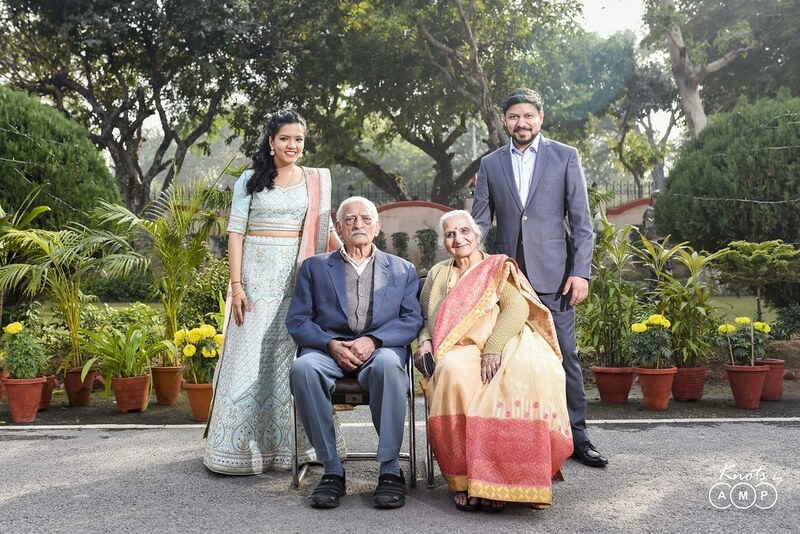 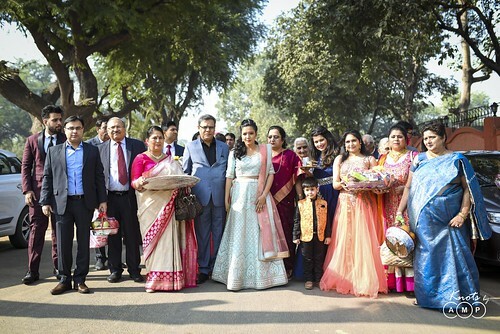 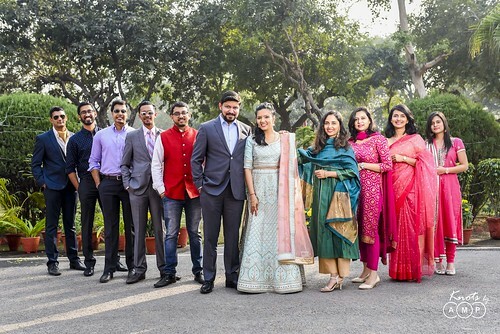 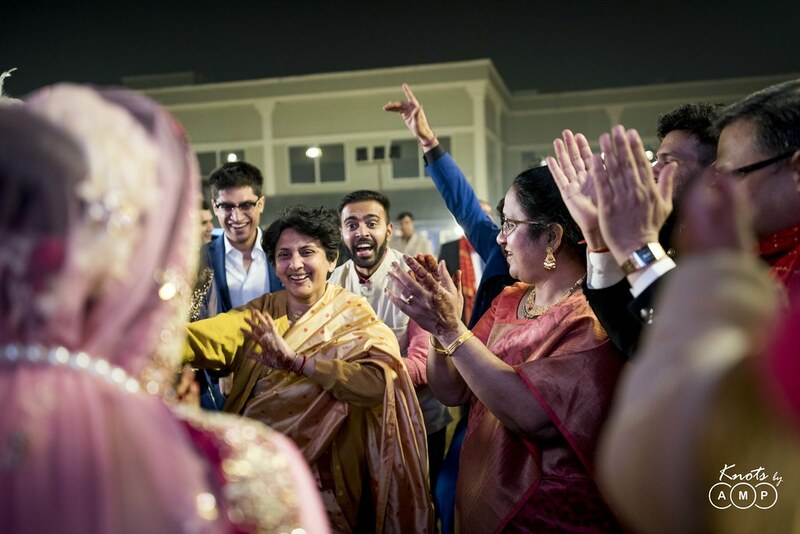 Sidhant and Barkha’s Delhi December Wedding stands out for lot of reasons. 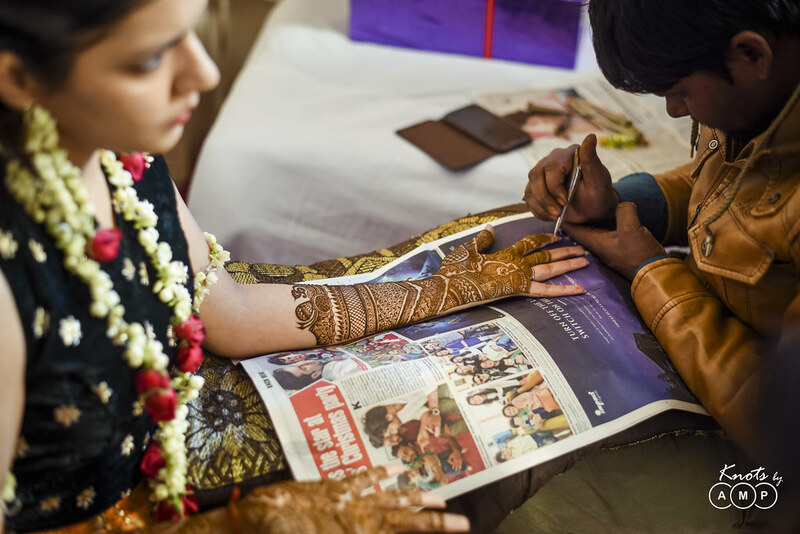 Every couple puts their heart and soul into their wedding planning but yet often something or the other goes wrong. Sidhant and Barkha’s wedding on the other hand begs to be different where everything worked well for them. 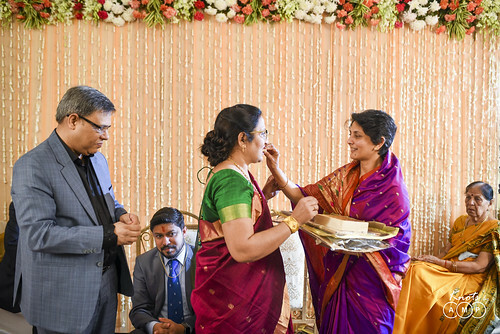 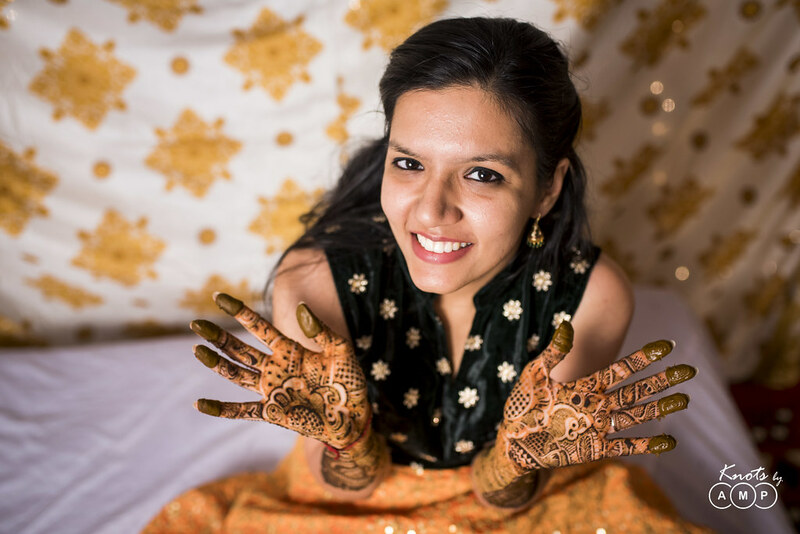 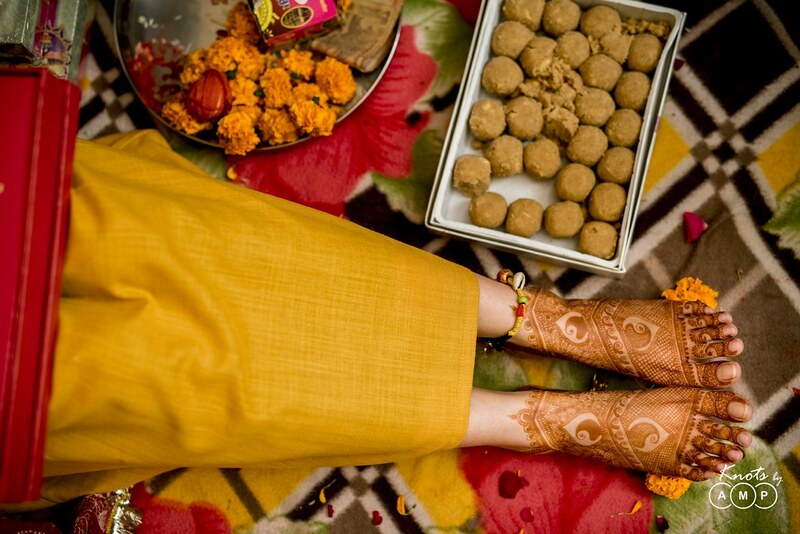 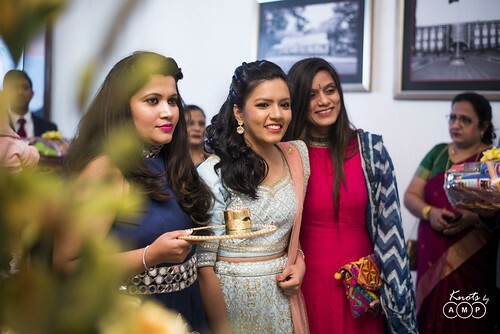 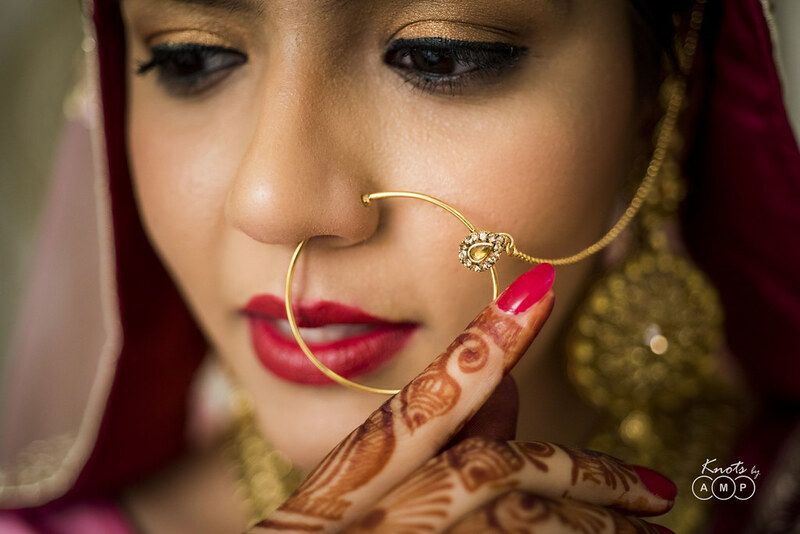 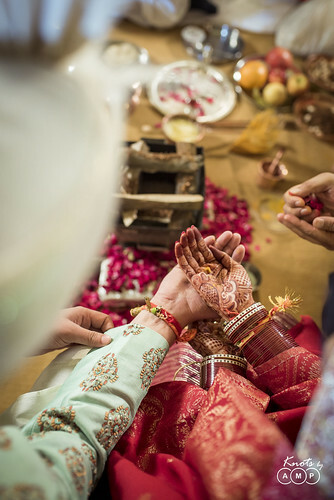 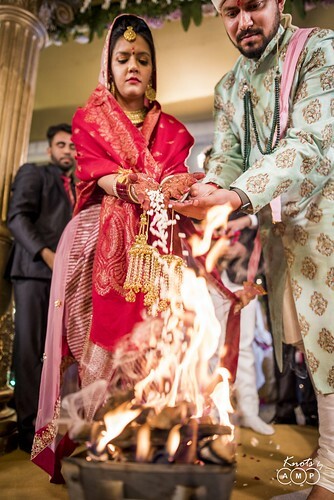 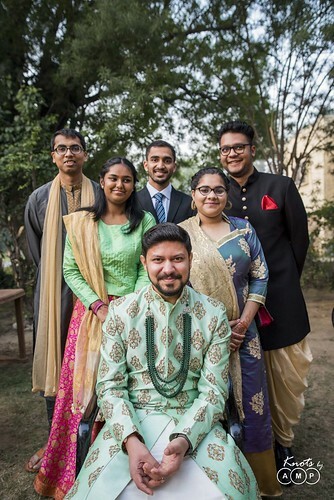 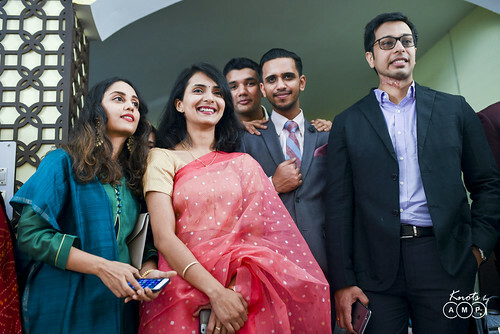 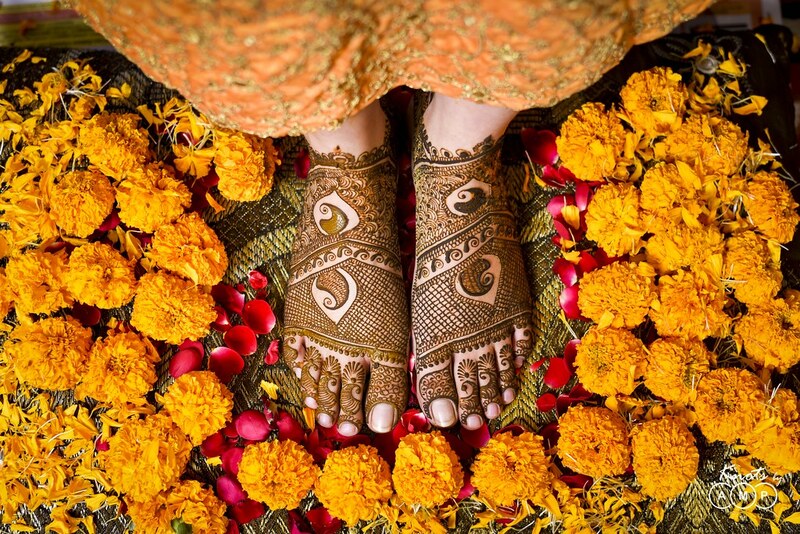 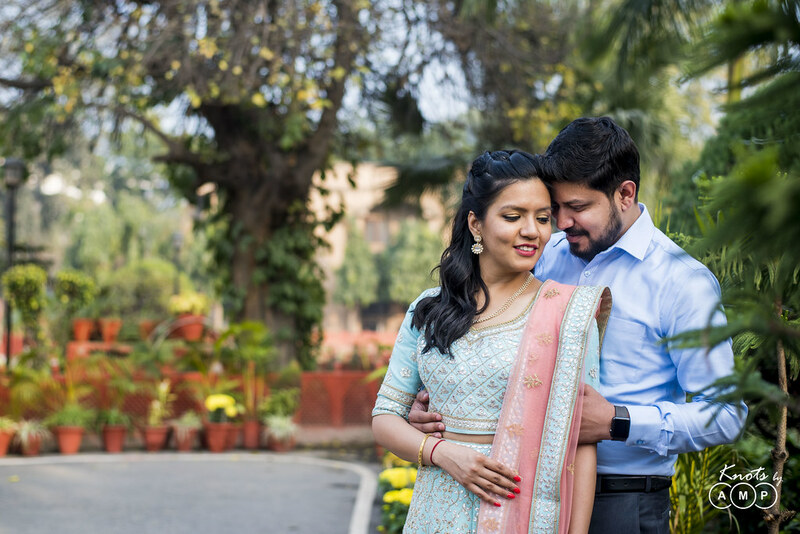 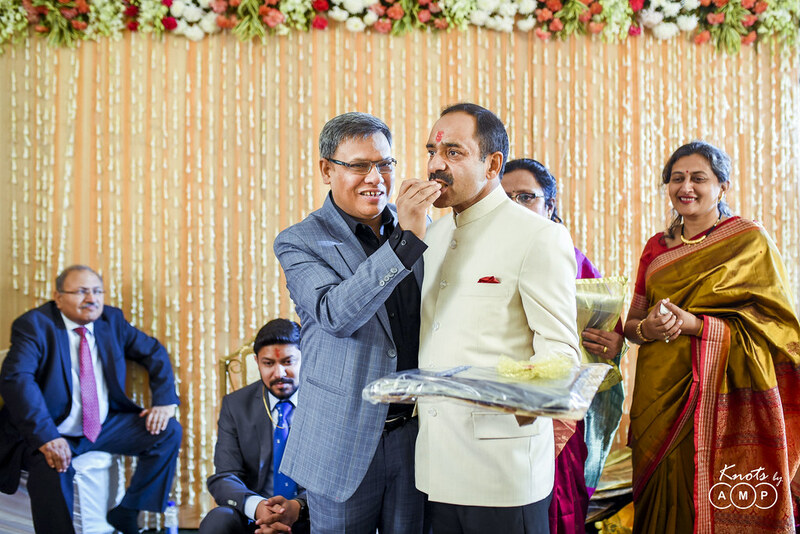 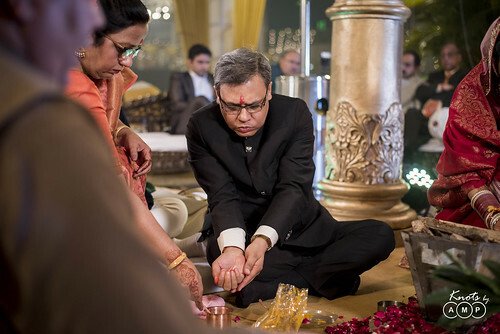 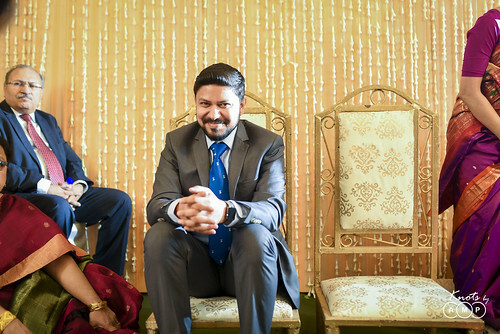 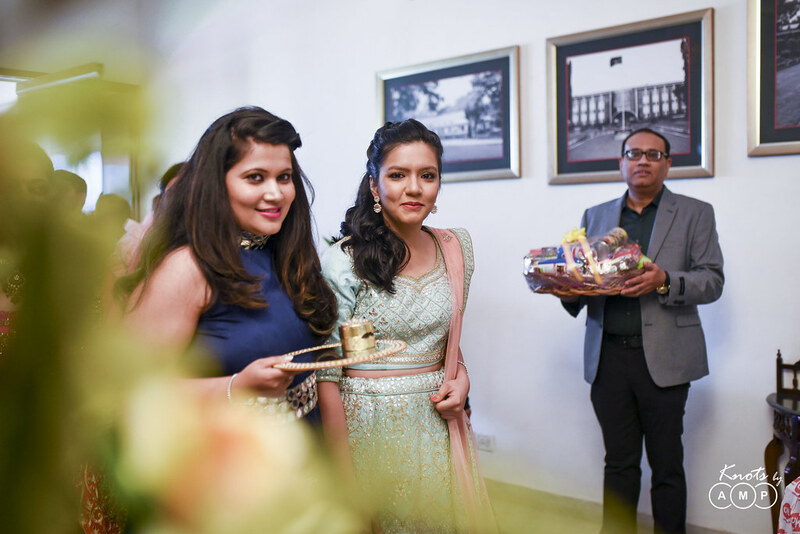 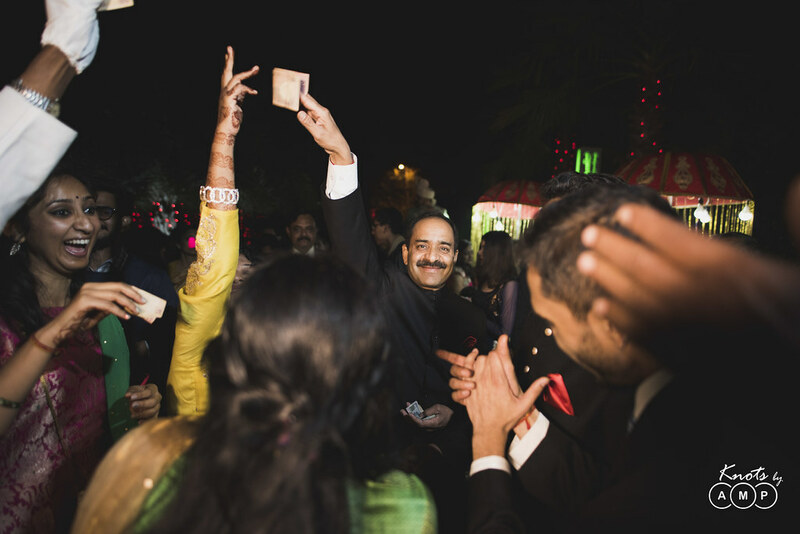 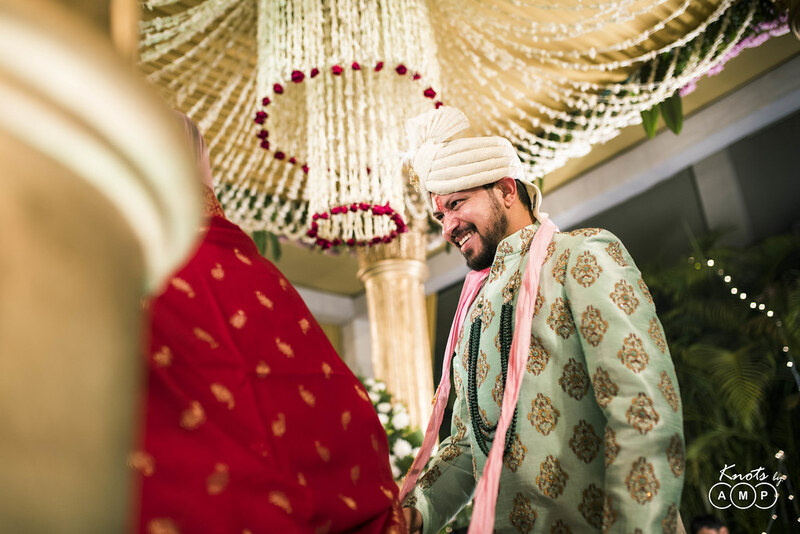 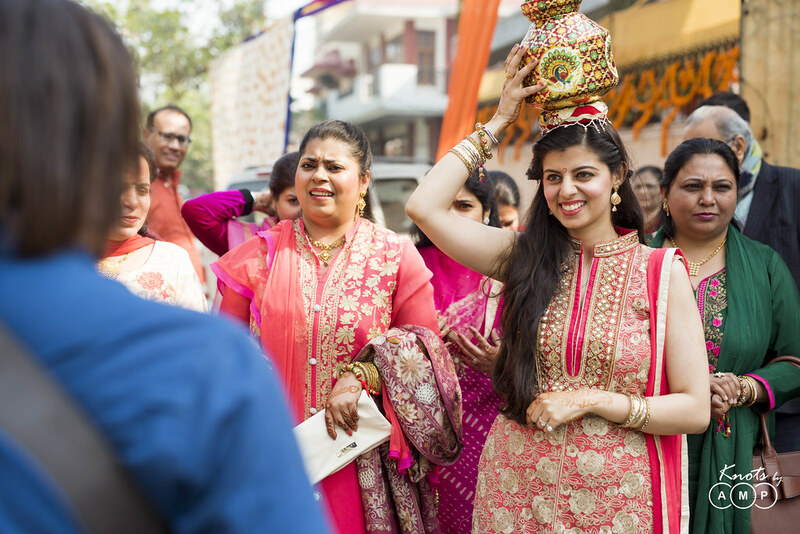 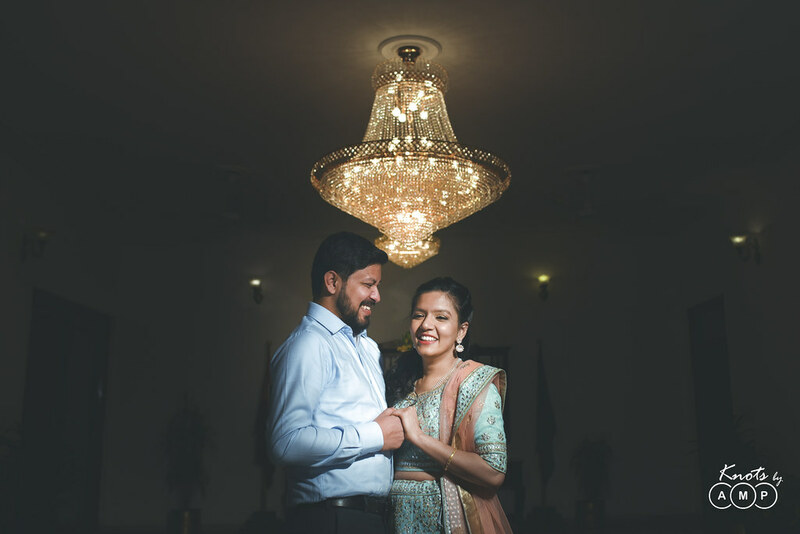 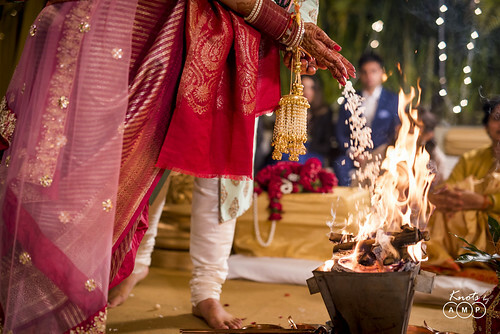 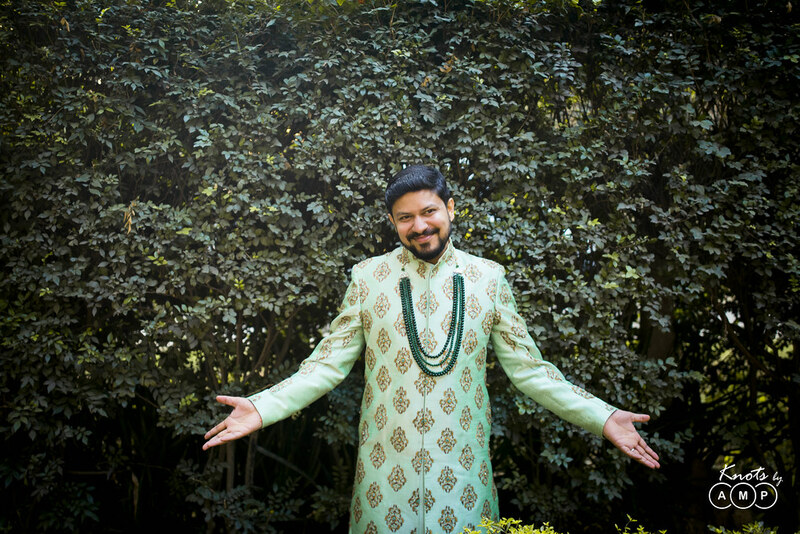 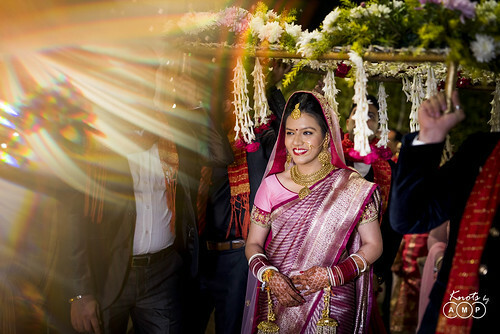 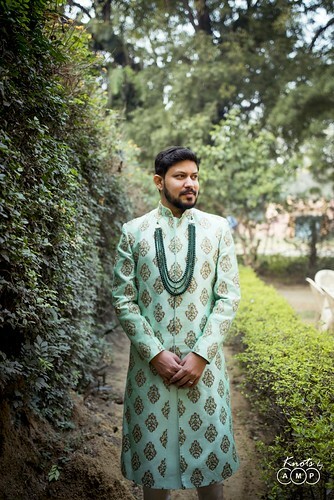 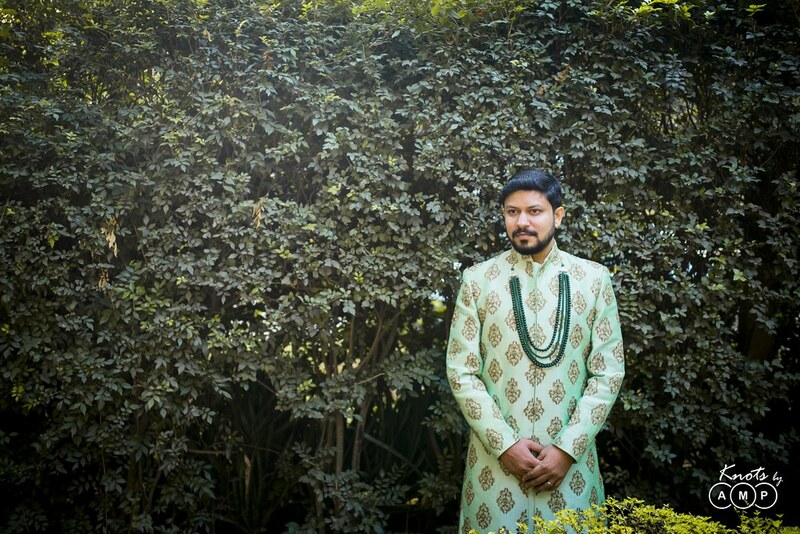 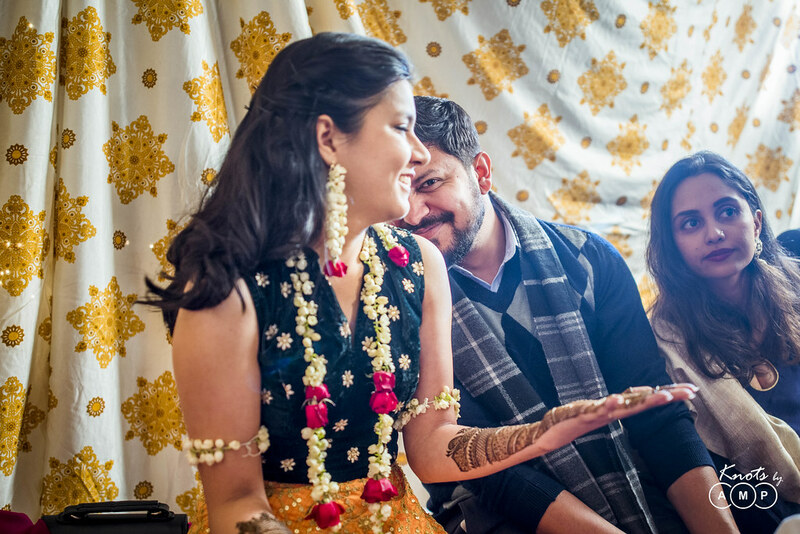 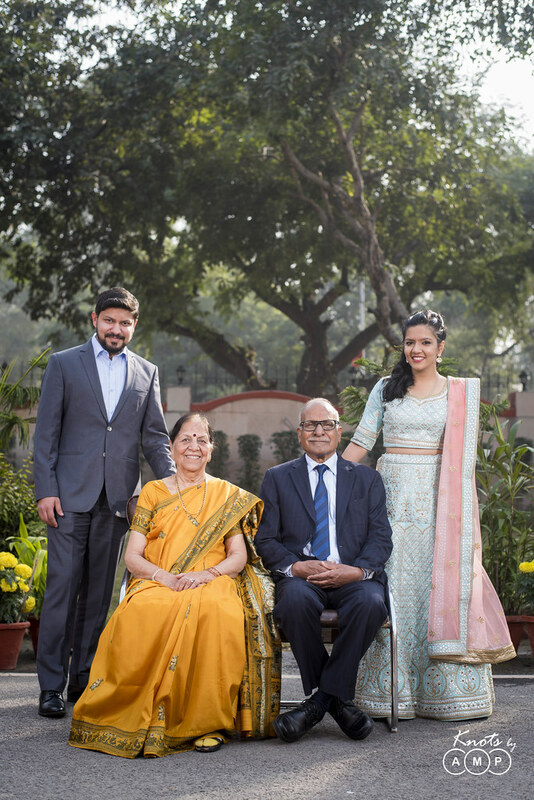 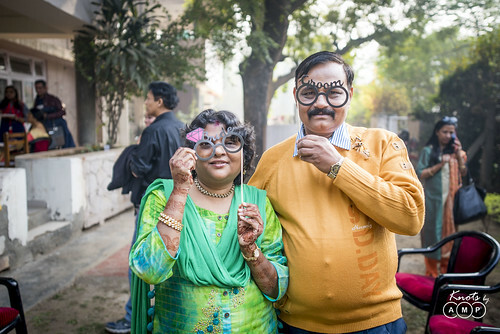 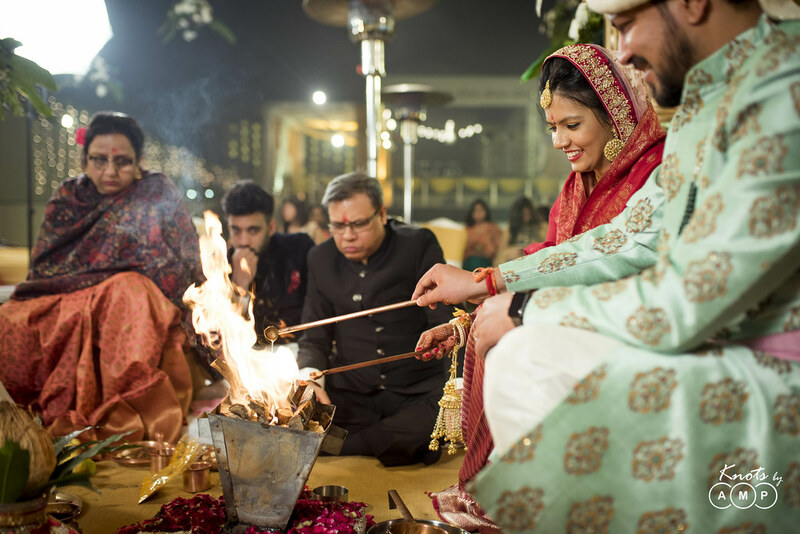 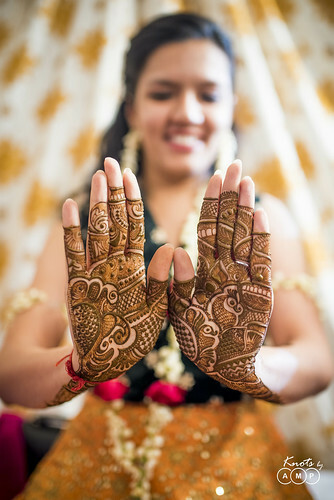 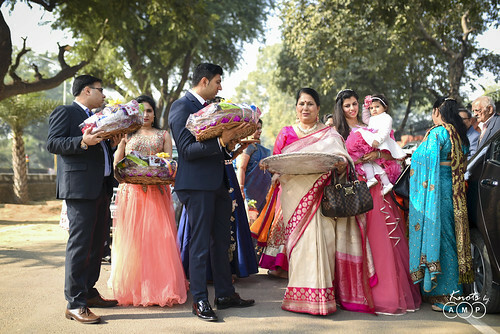 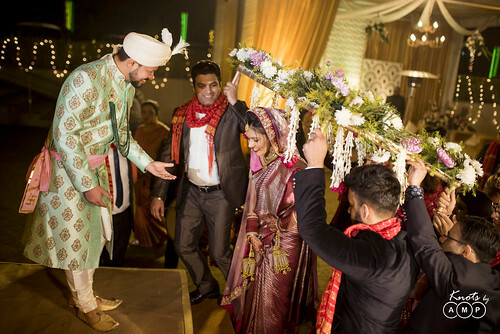 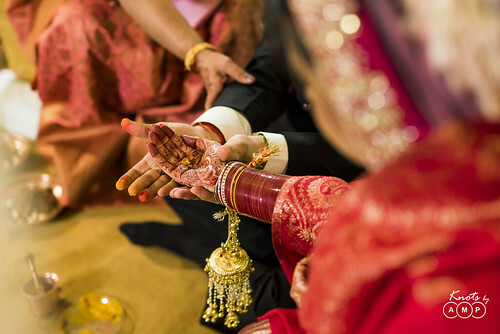 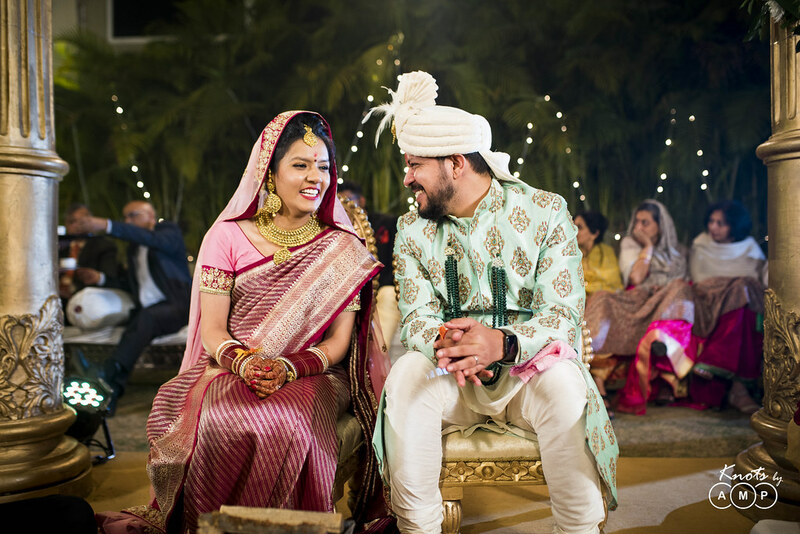 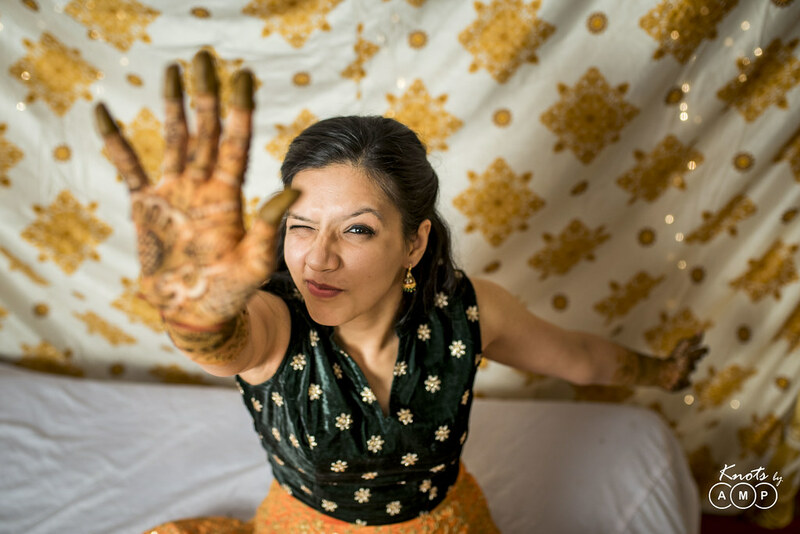 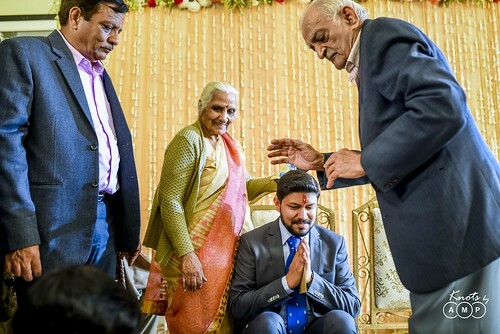 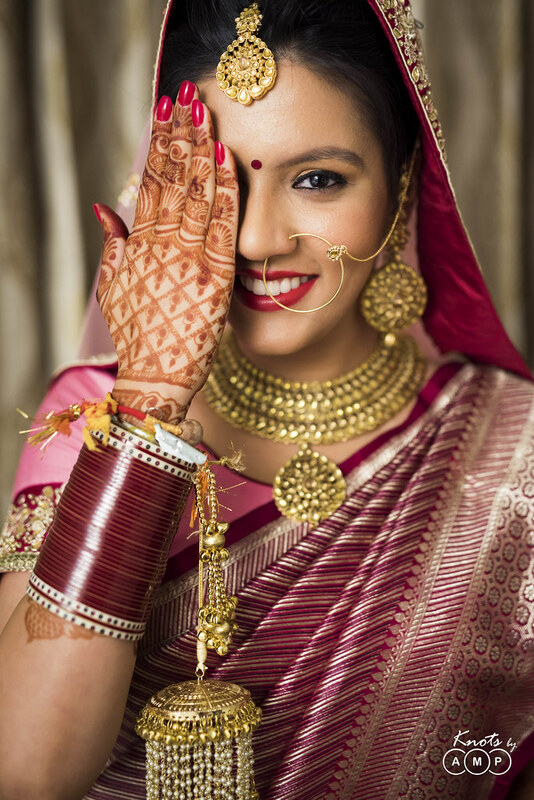 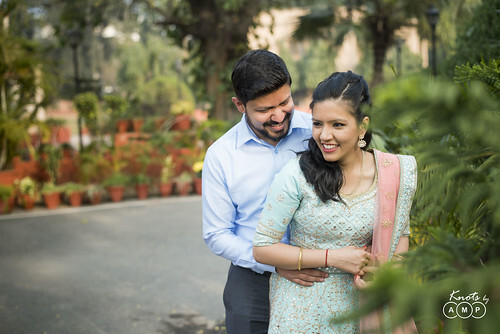 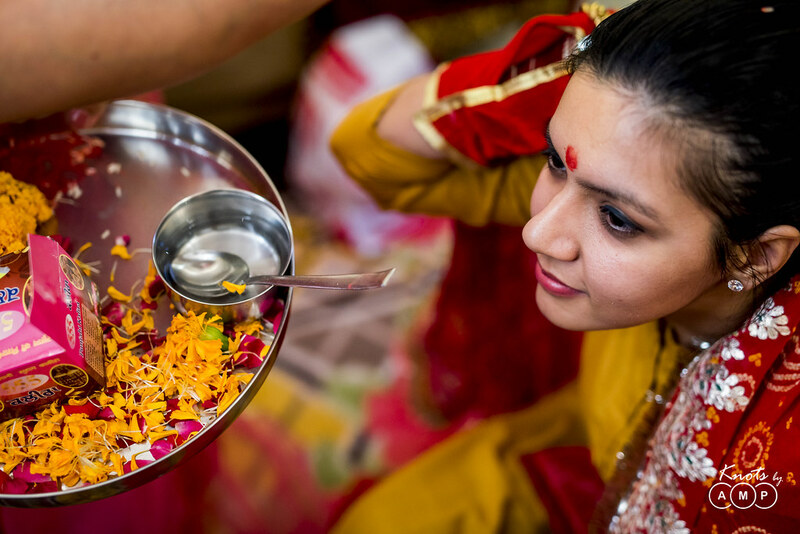 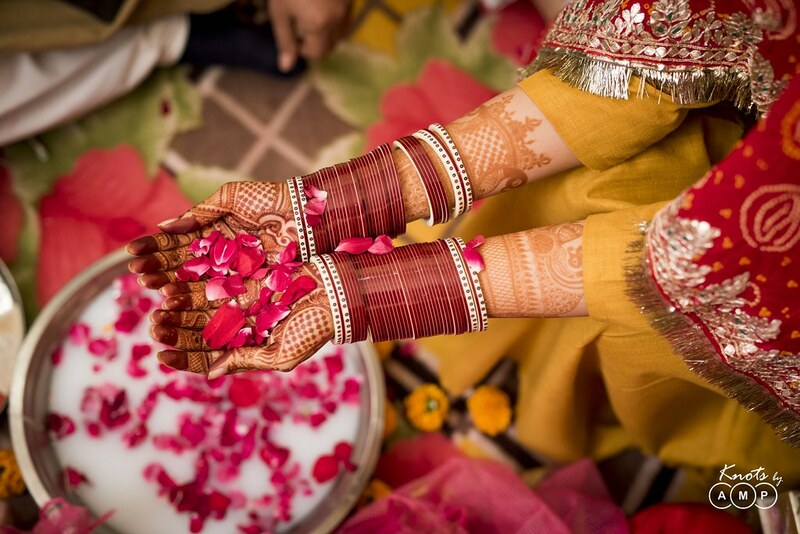 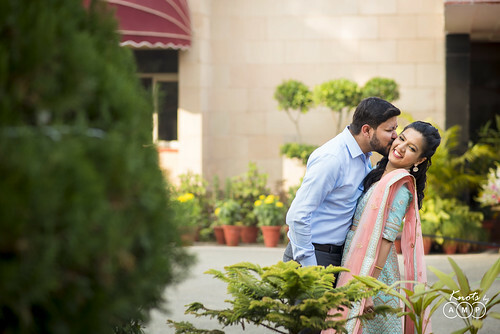 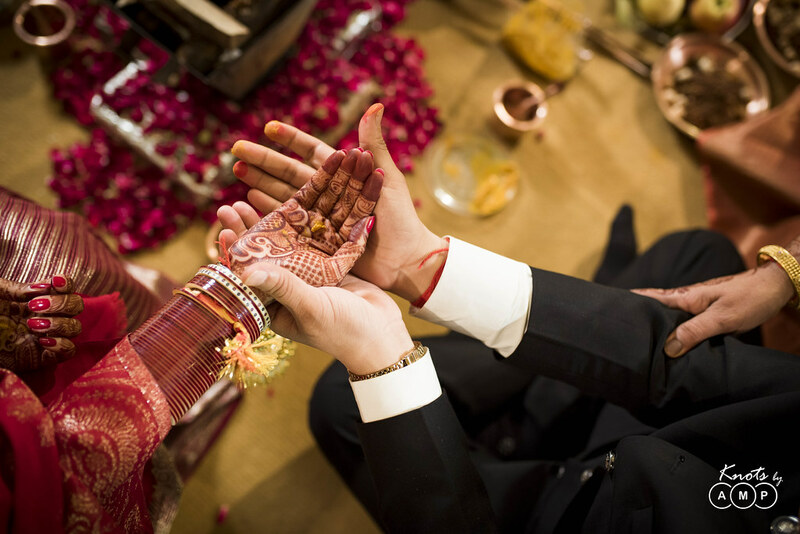 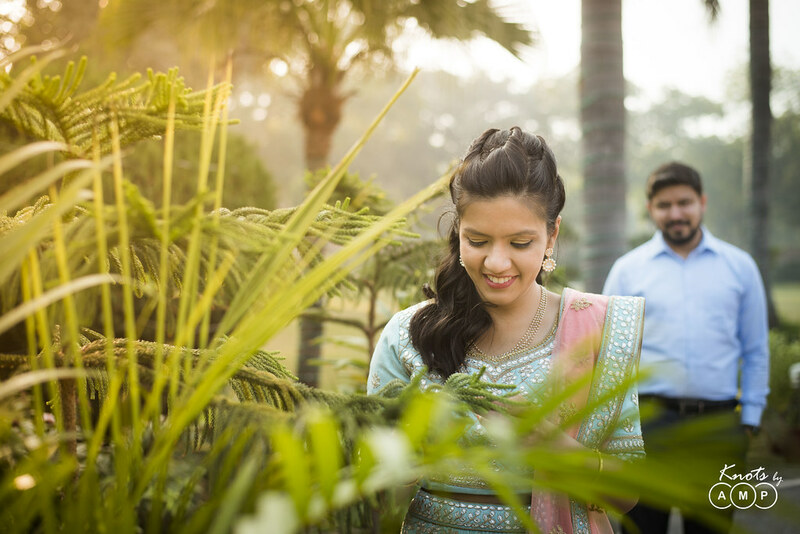 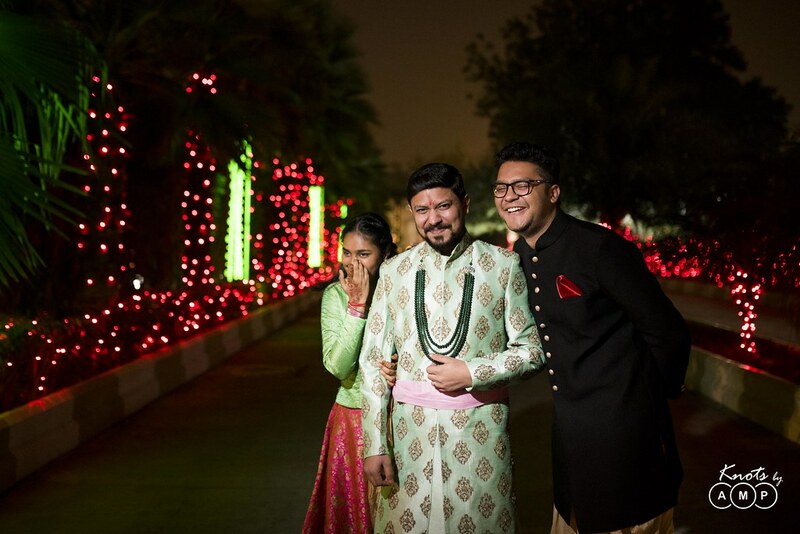 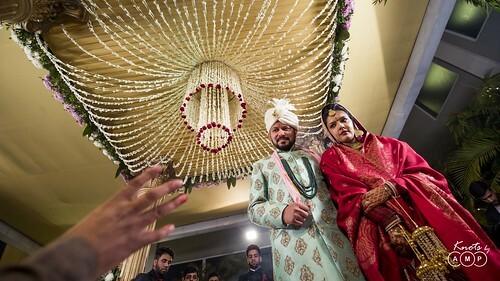 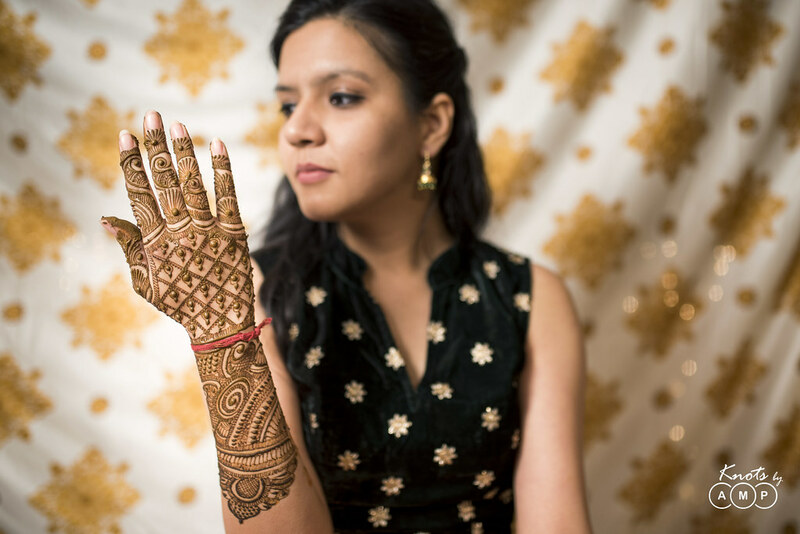 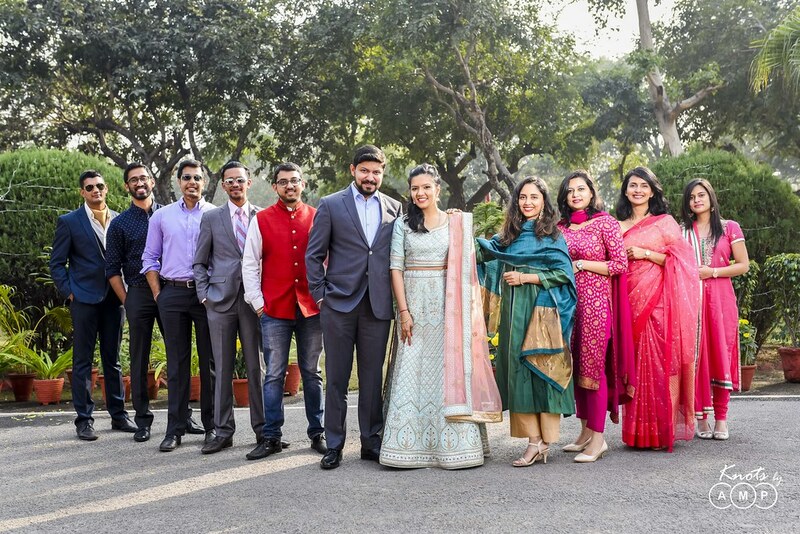 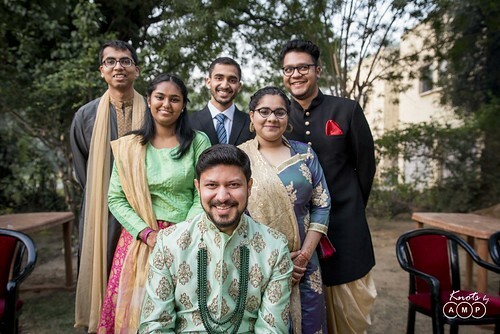 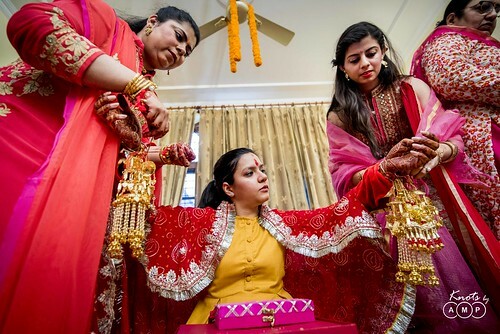 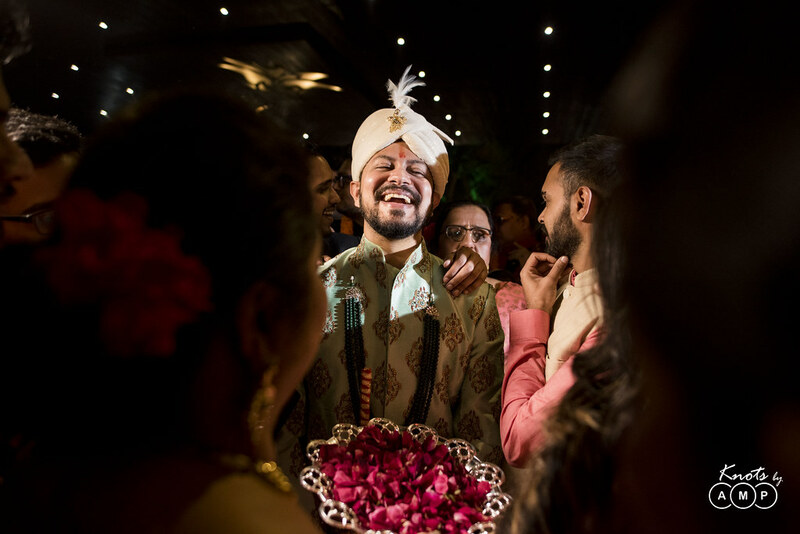 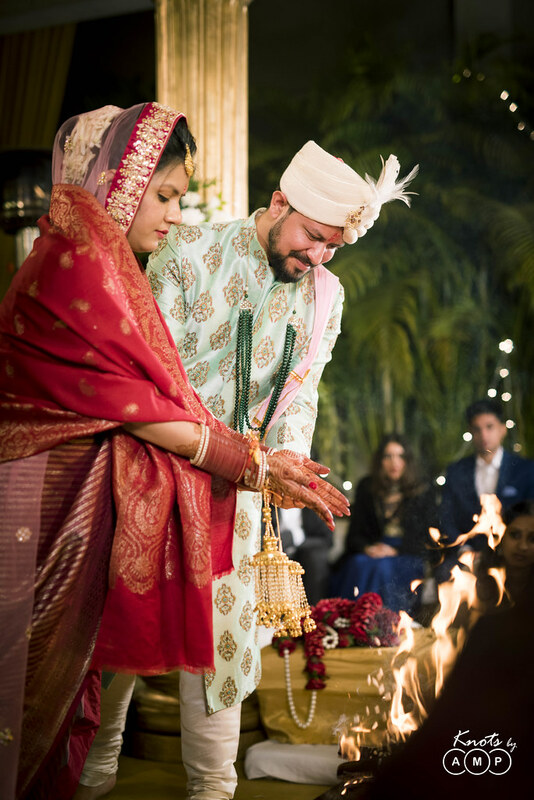 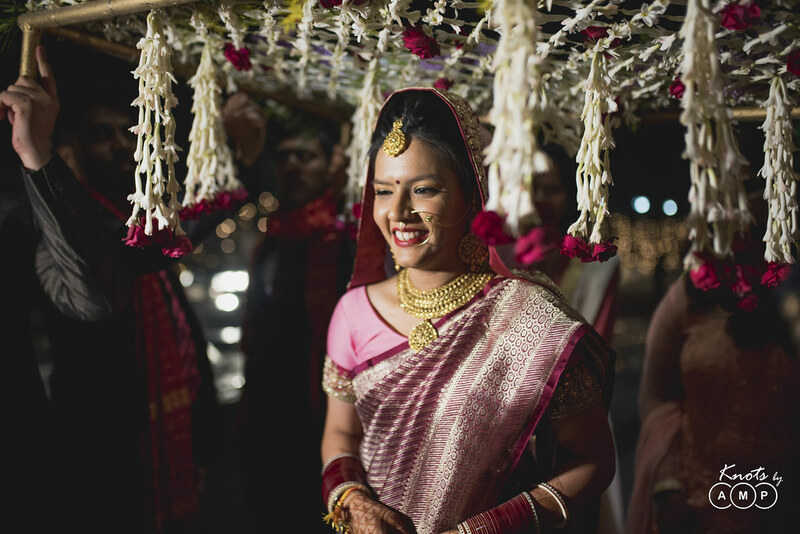 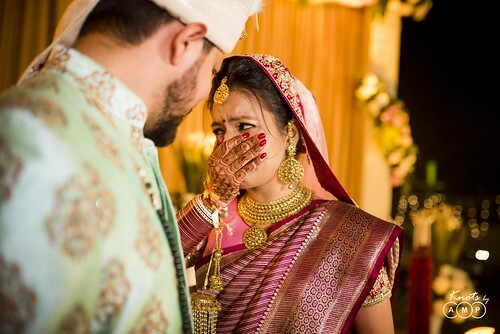 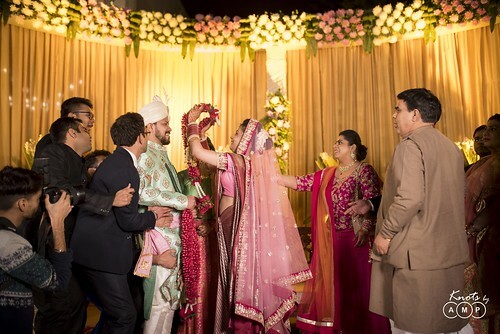 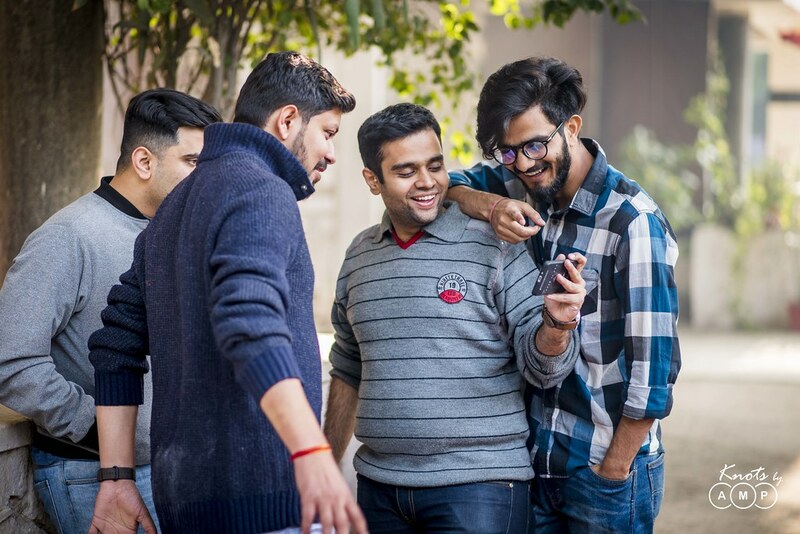 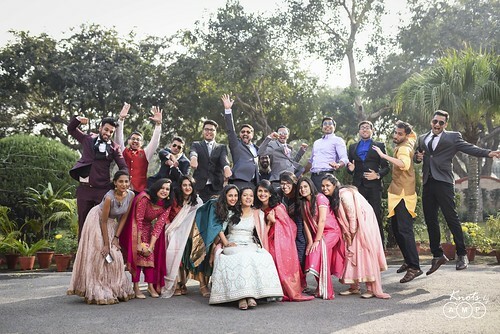 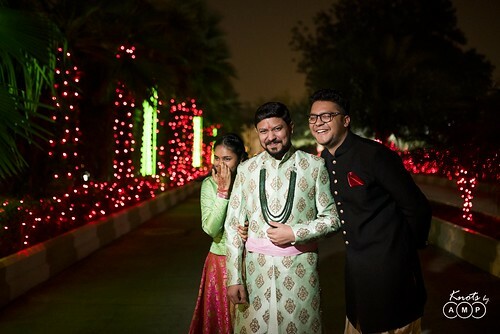 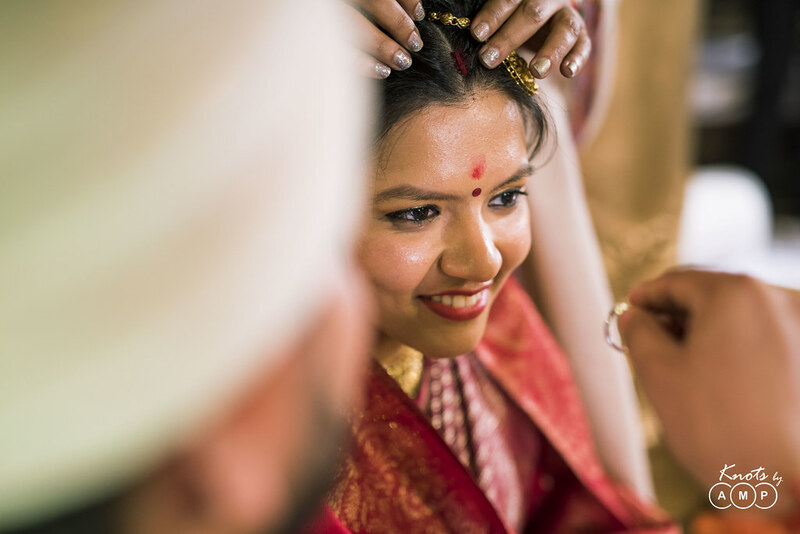 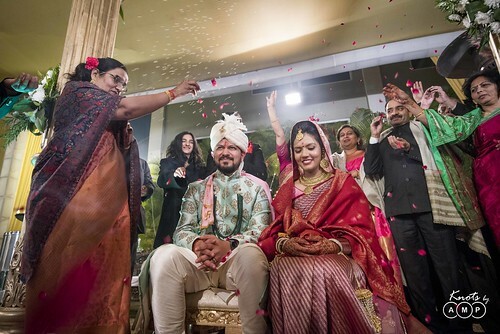 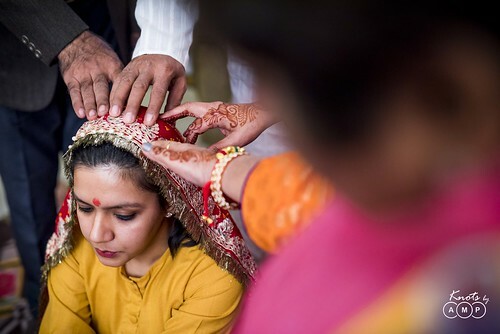 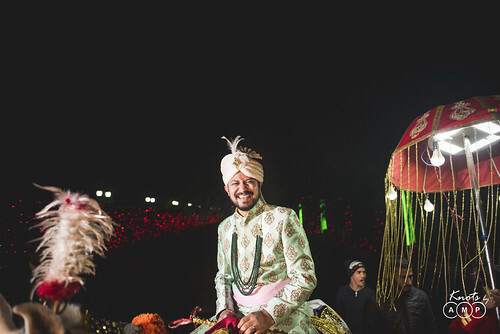 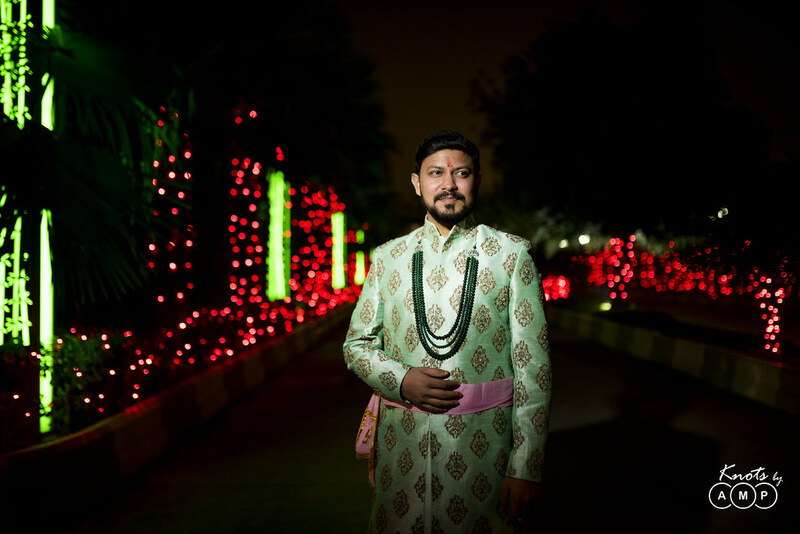 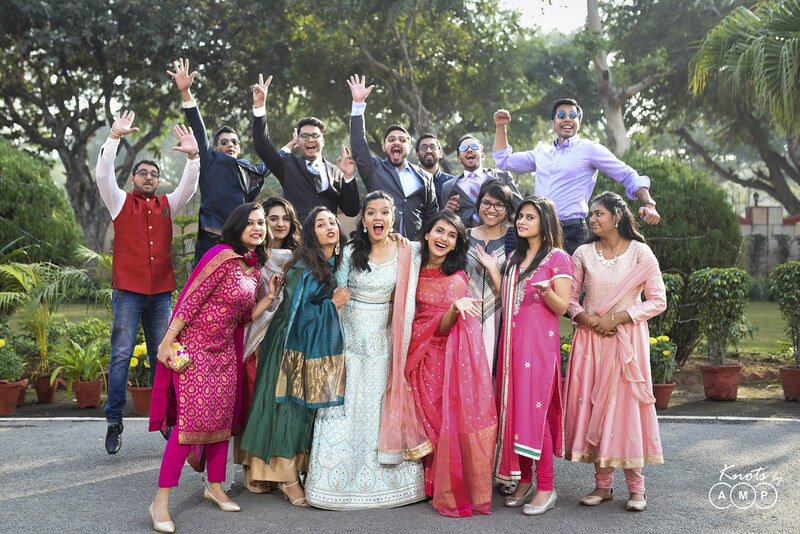 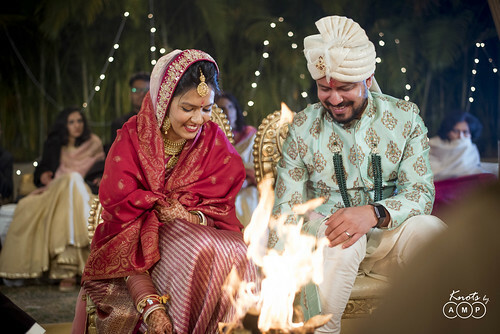 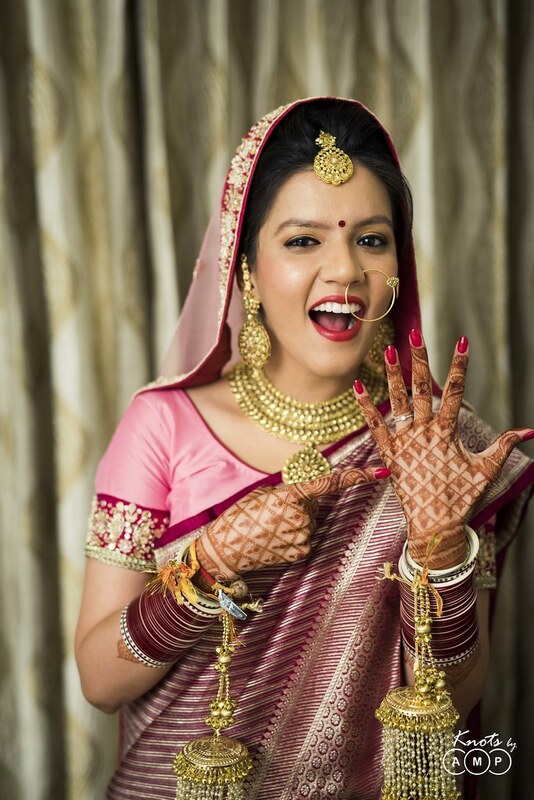 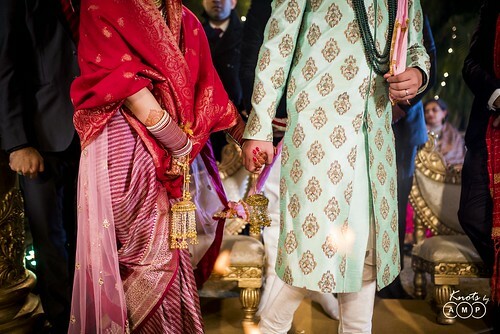 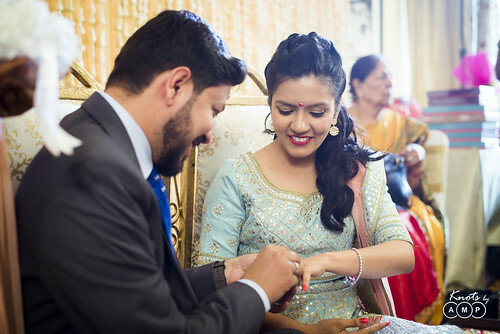 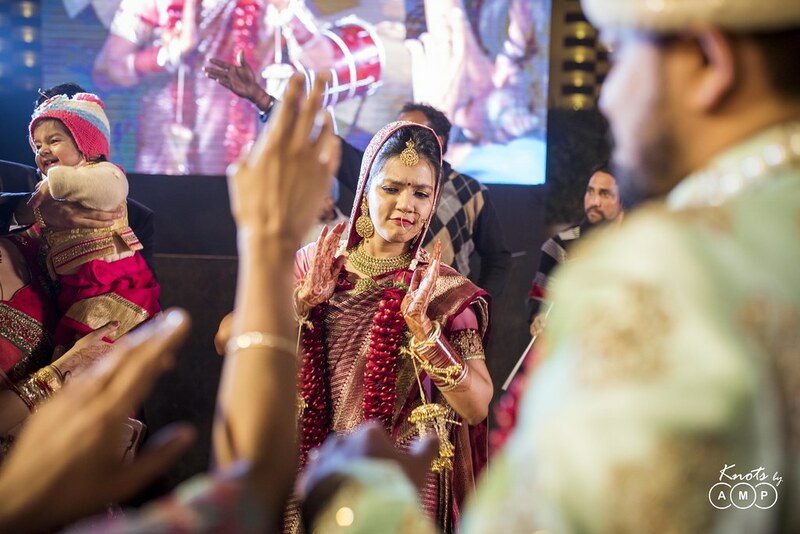 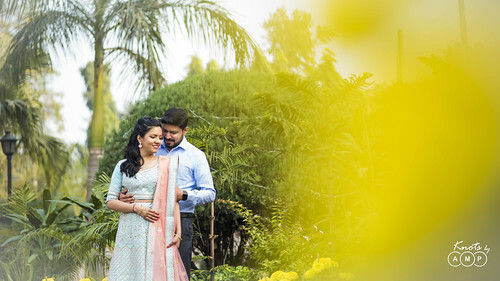 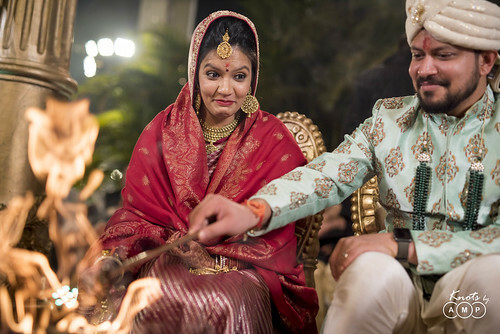 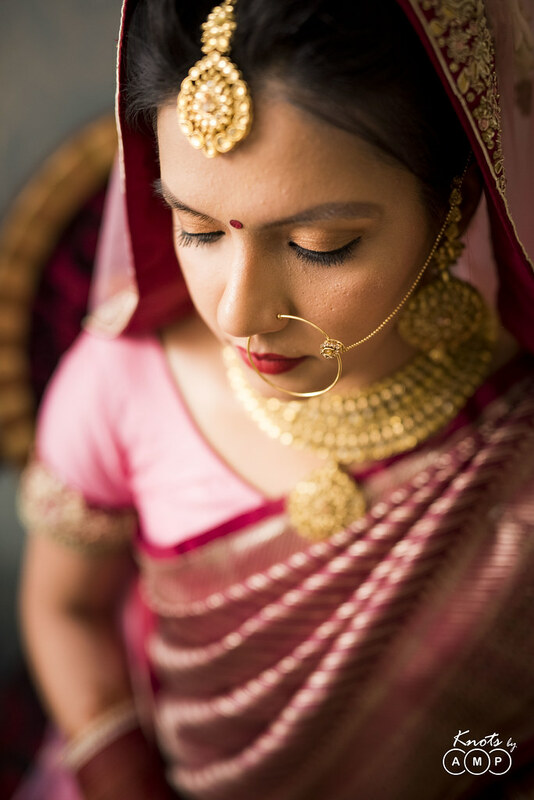 From bringing in different flavours and feels, they hit the right notes in balancing simple home functions like Mehandi and Haldi to a typical grand Delhi wedding at Atrio, Gurgaon and last but not the least their choice of wedding photographers in us, all the way from Mumbai. 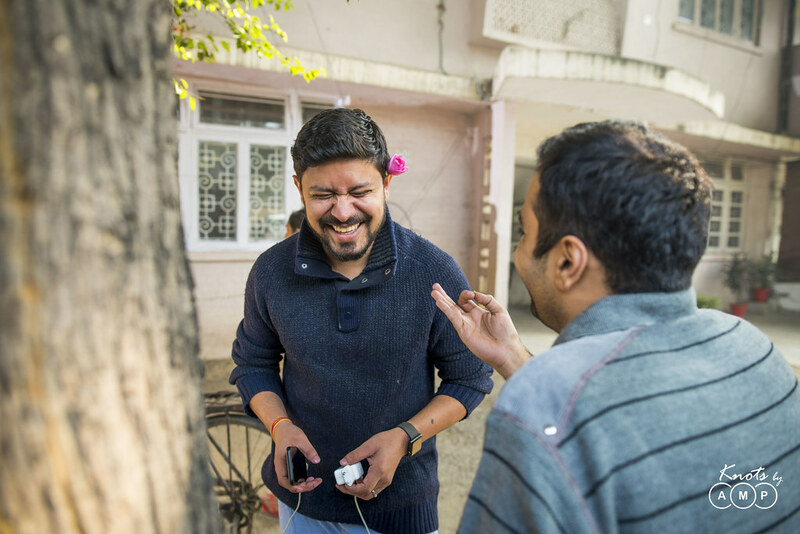 Finally, the chilly cold weather of Delhi made it even more joyful. 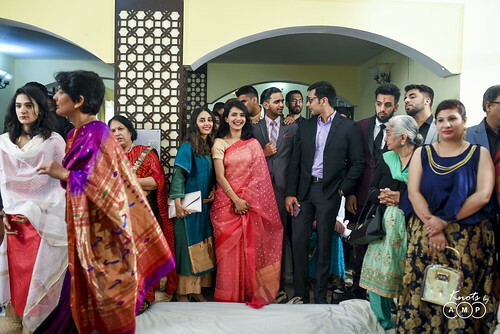 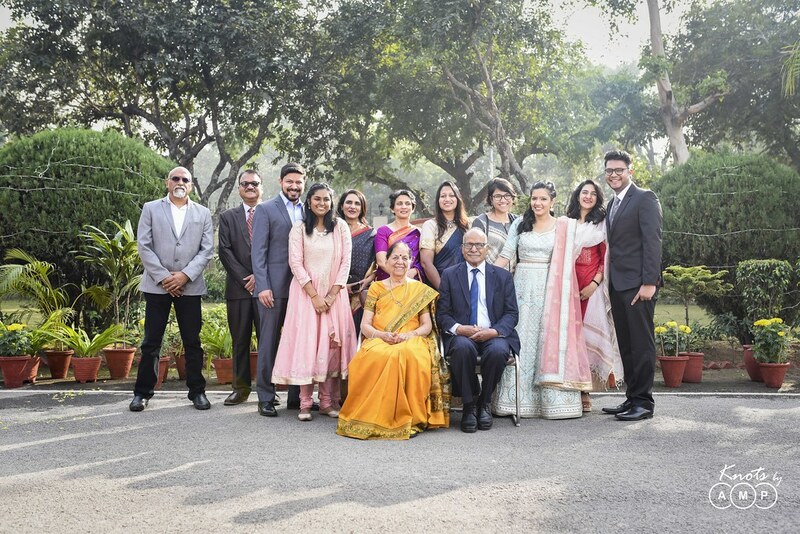 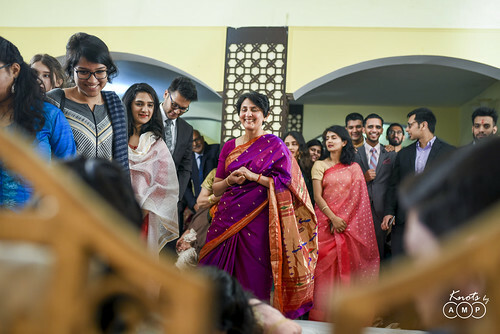 But most of all what truly caught our attention is that Barkha chose to wear her mother’s wedding saree for her big day! 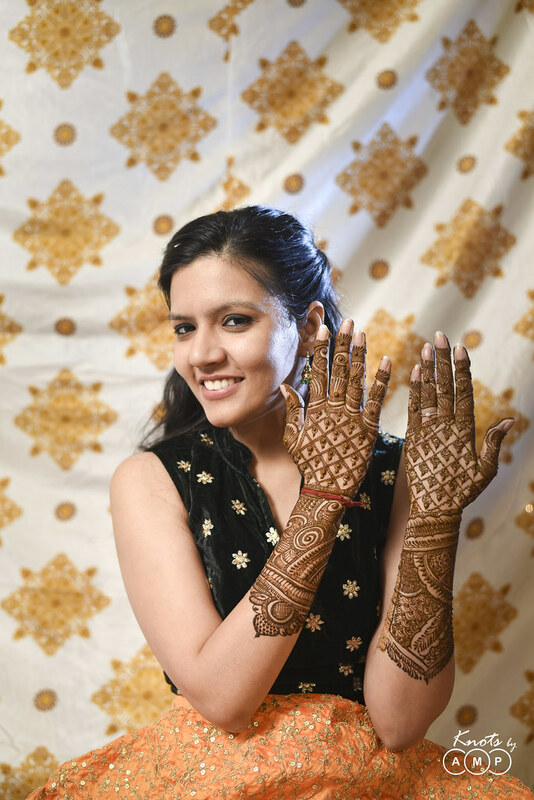 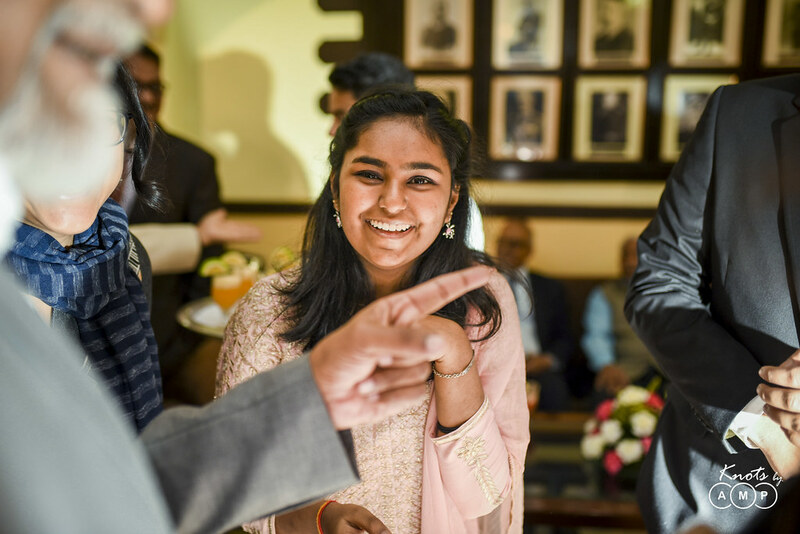 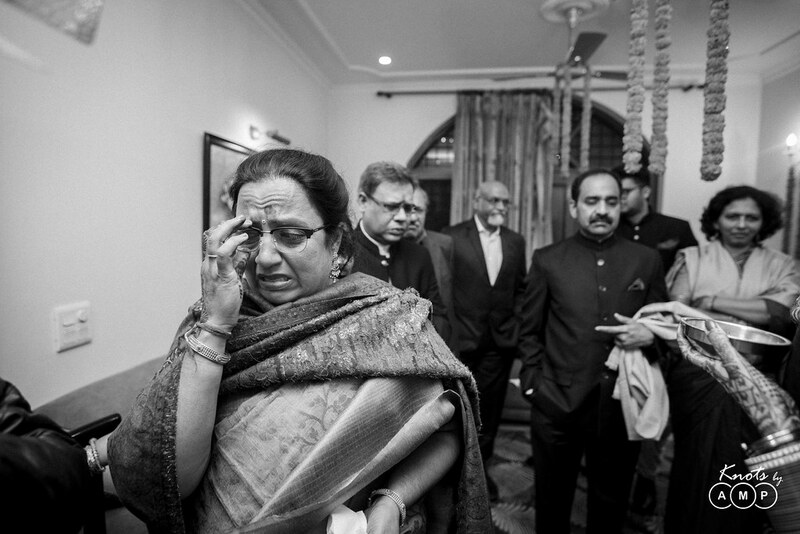 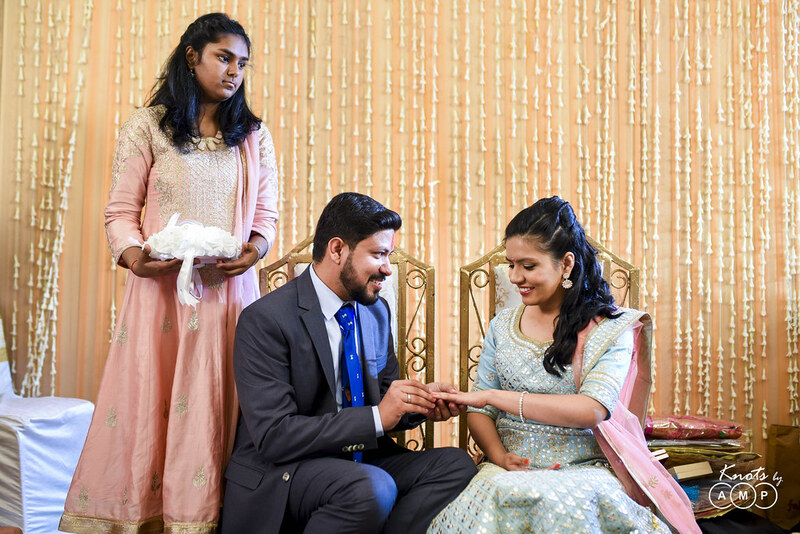 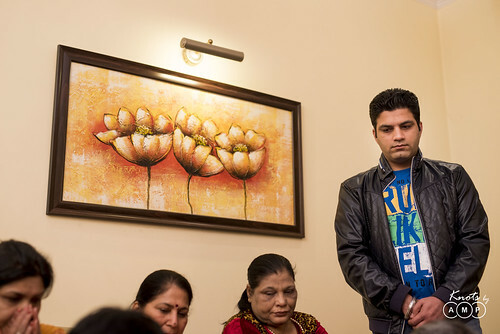 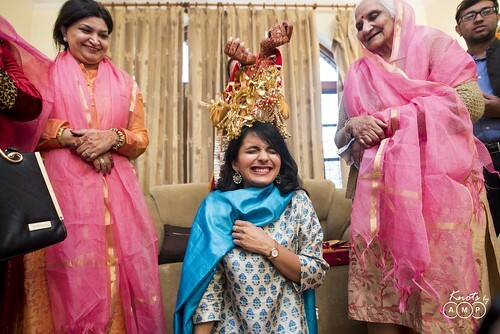 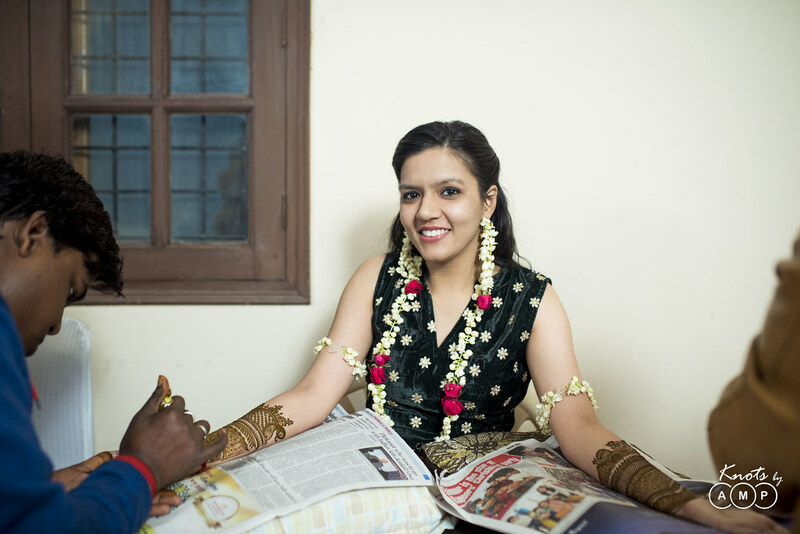 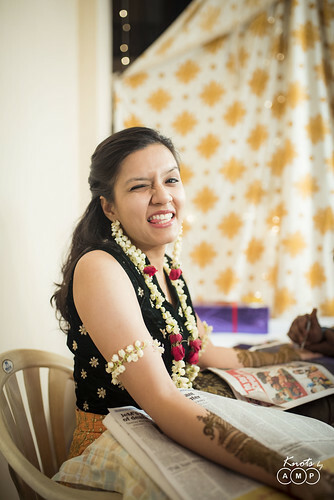 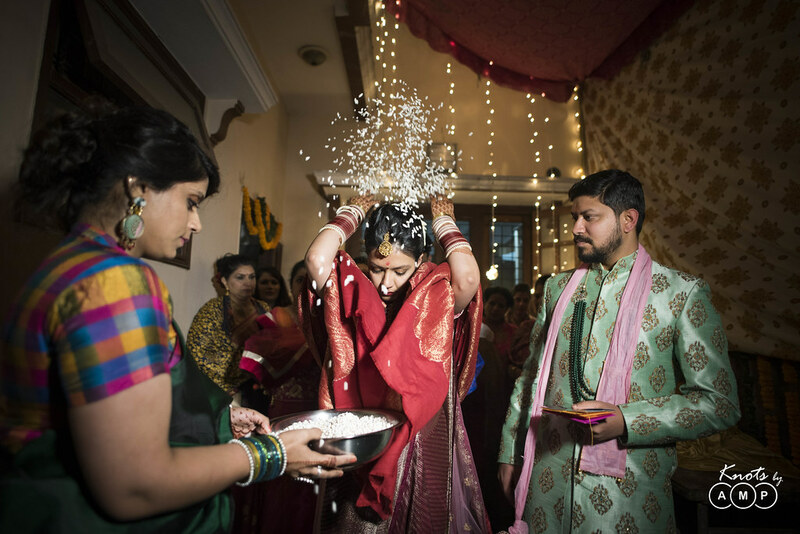 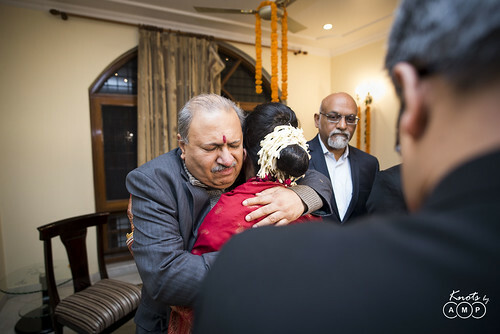 Day 1 : Engagement at Engineers Mess in Delhi Cant, Evening bridal mehandi at her residence. 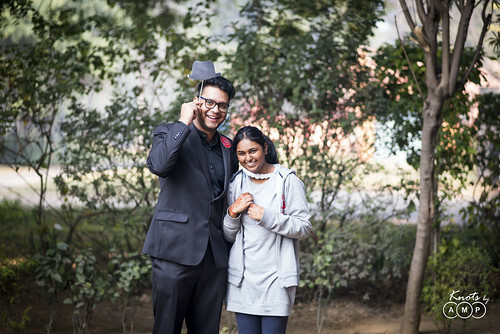 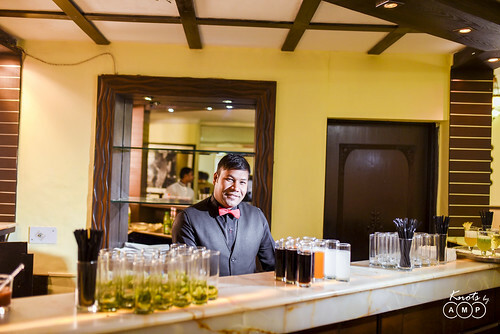 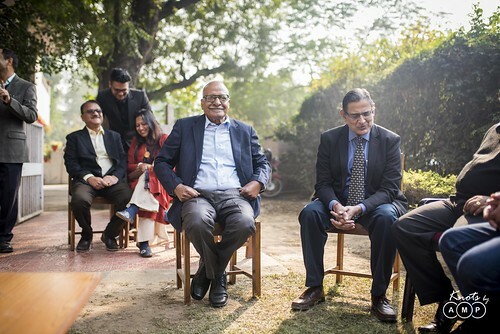 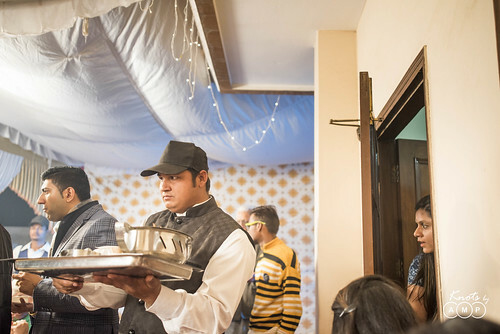 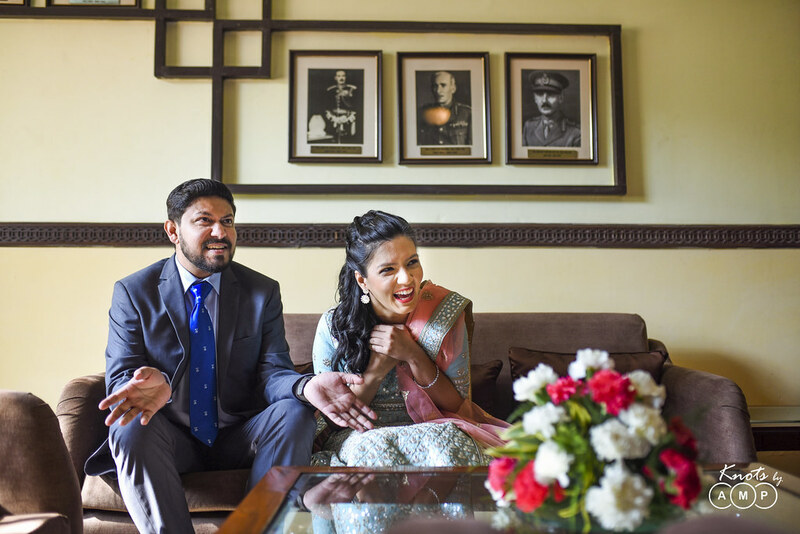 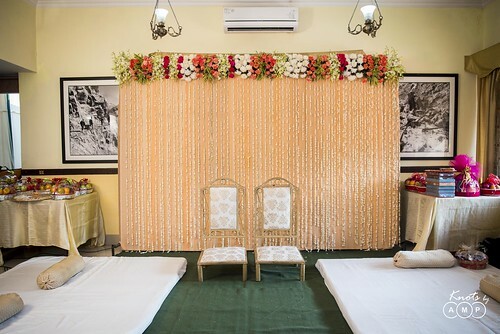 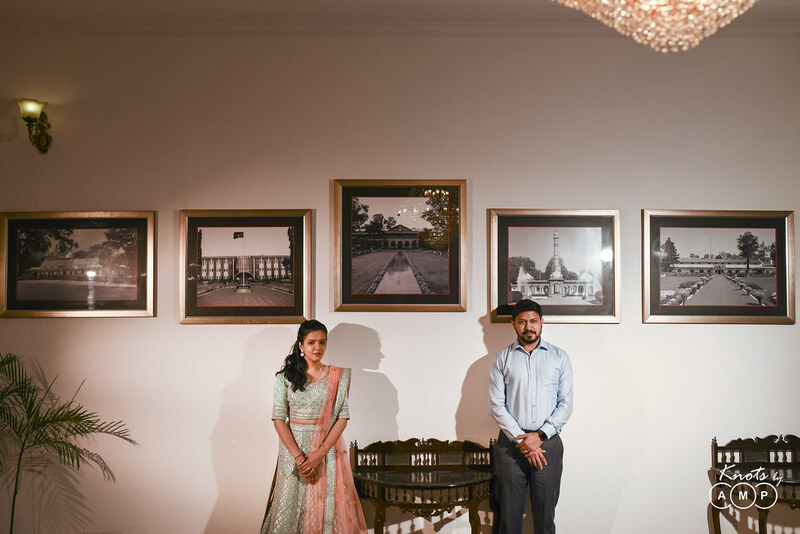 The Engineers Mess in Delhi Cantonment made for an offbeat and private venue for the engagement. 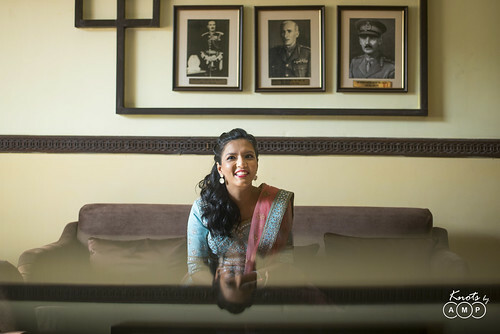 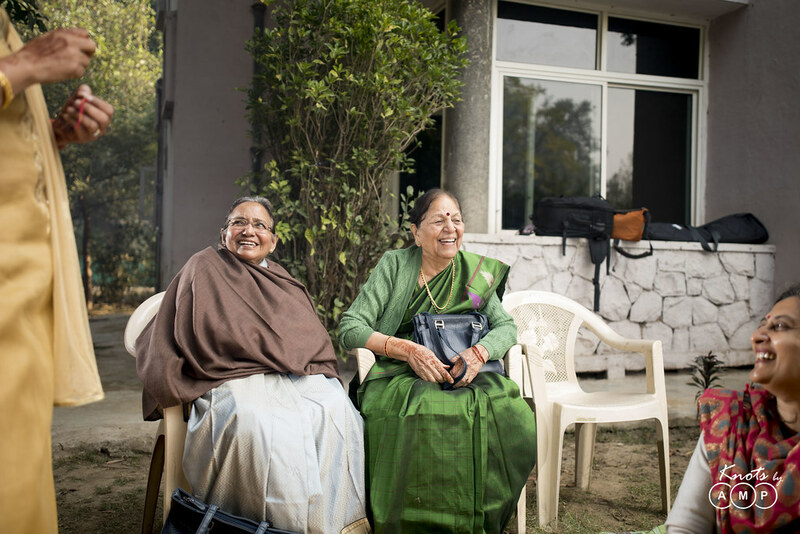 The photos of decorated officers on the walls, the greenery and the calmness of cantonment created a venerable aura about the place. 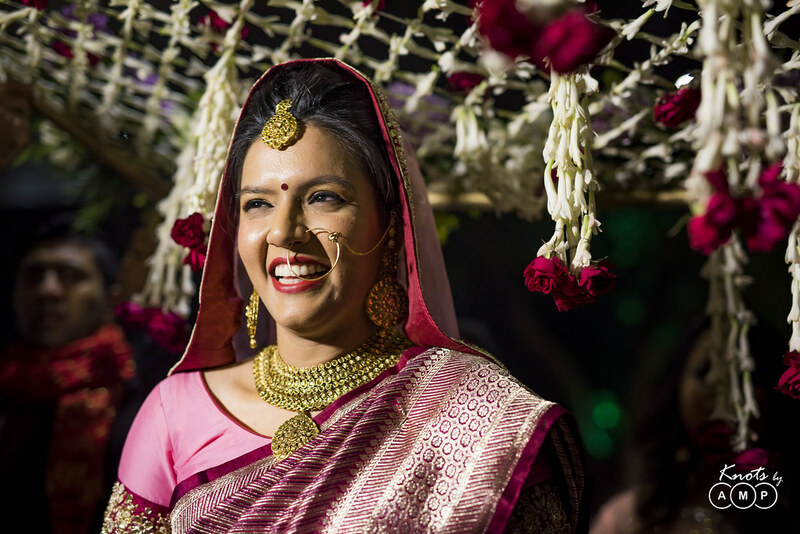 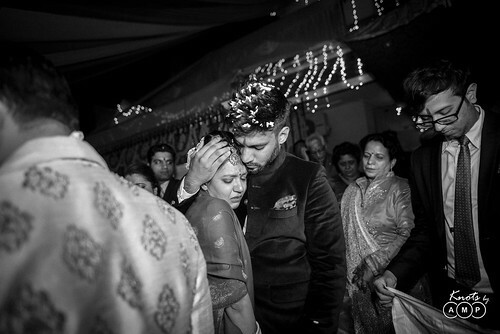 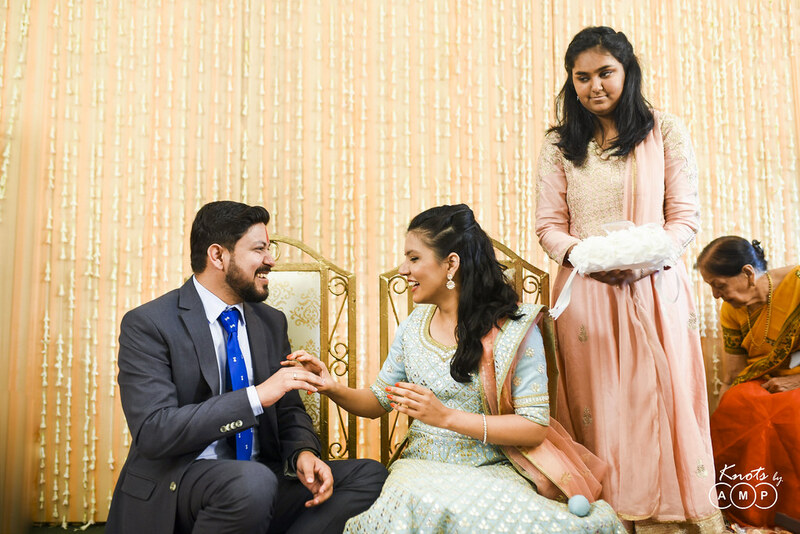 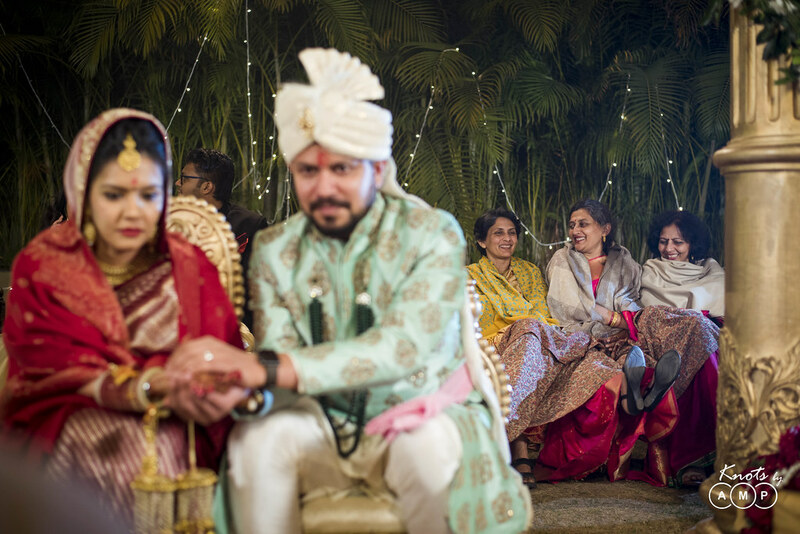 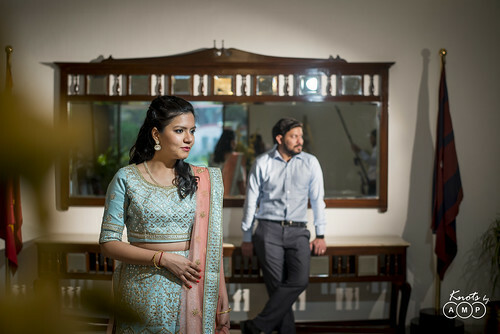 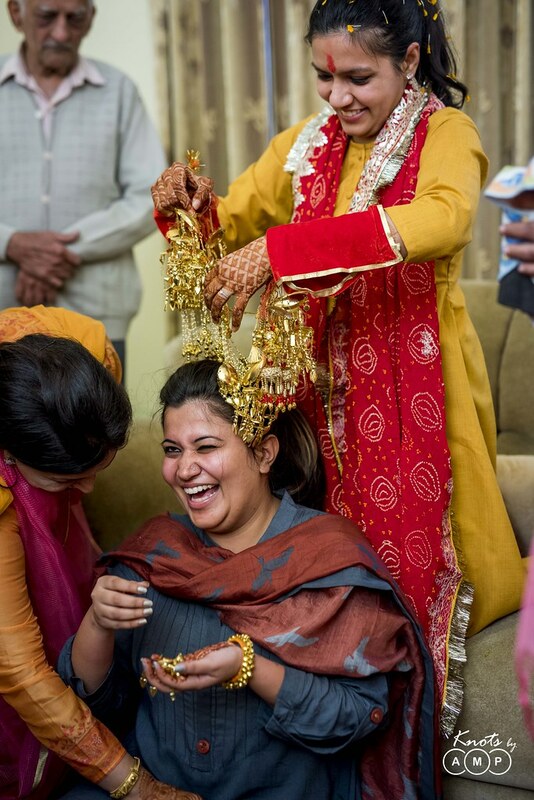 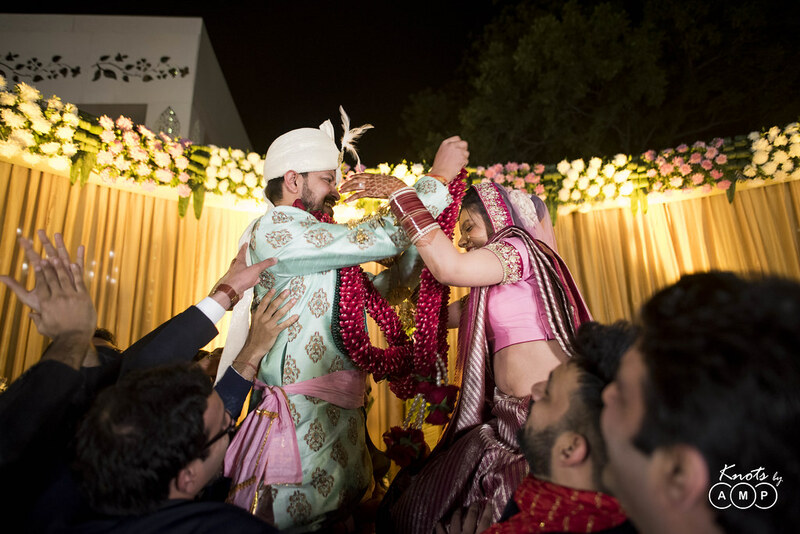 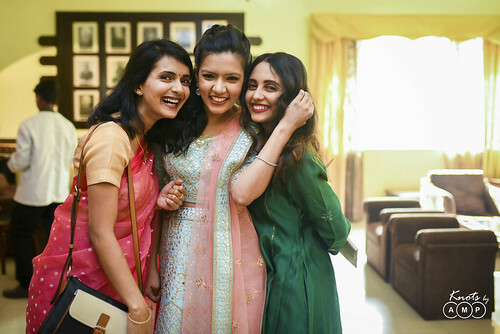 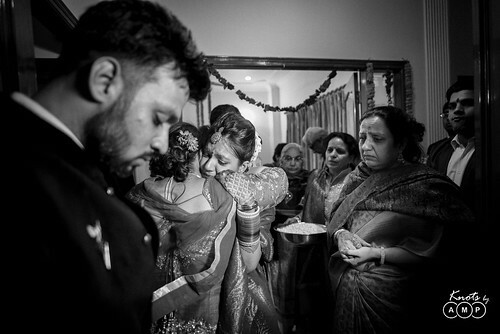 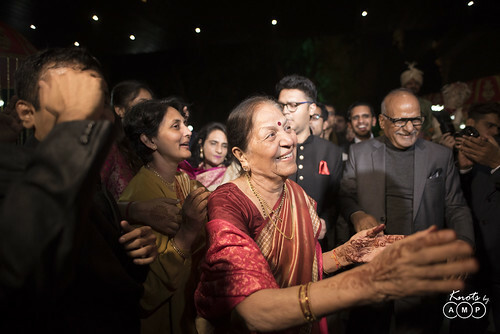 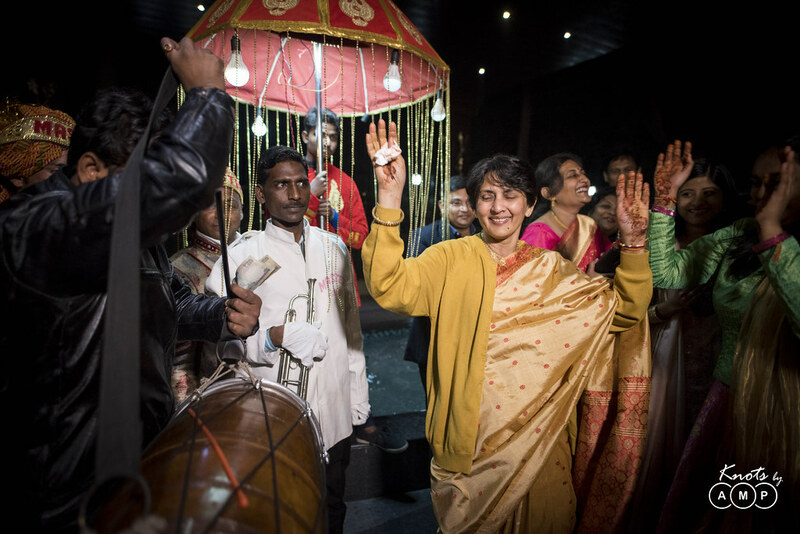 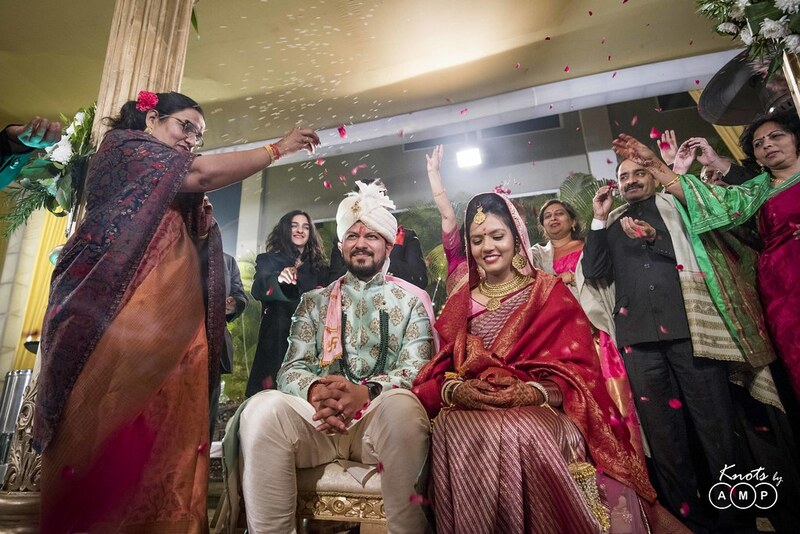 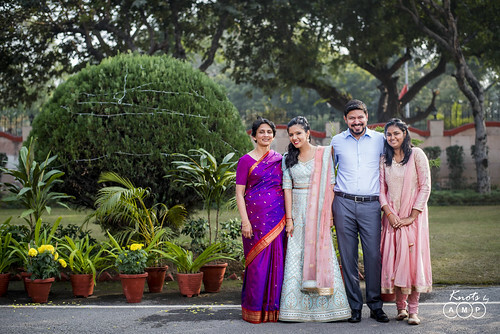 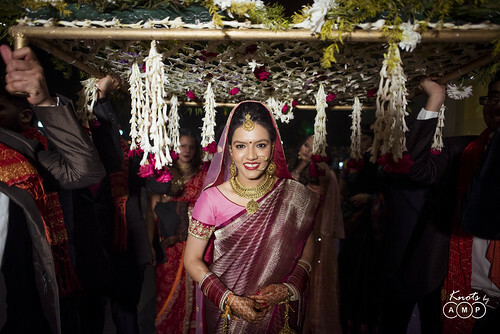 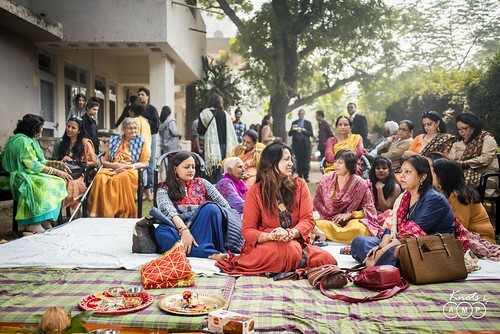 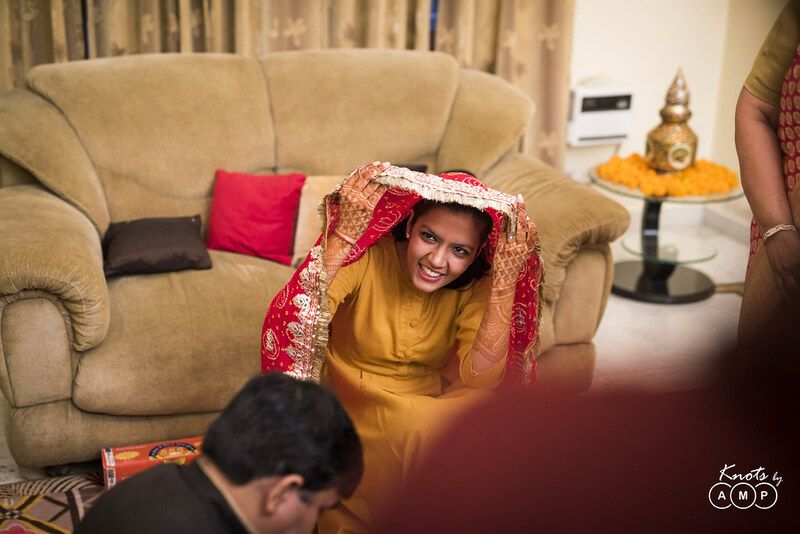 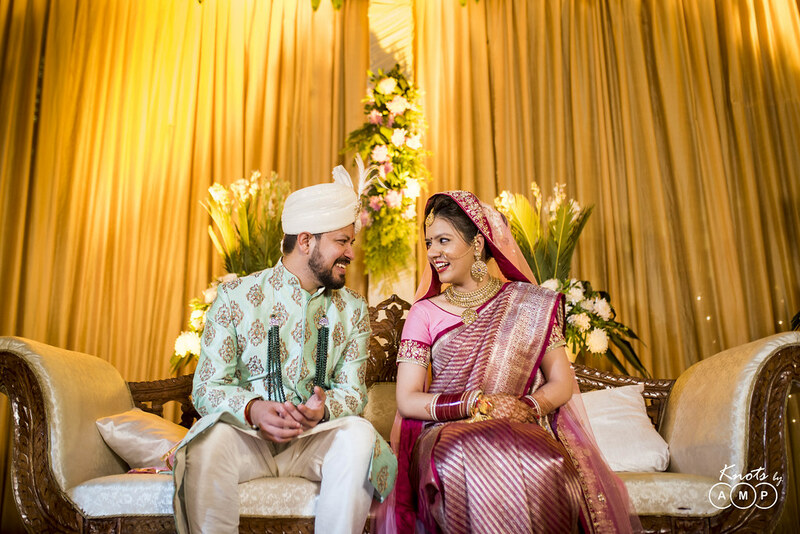 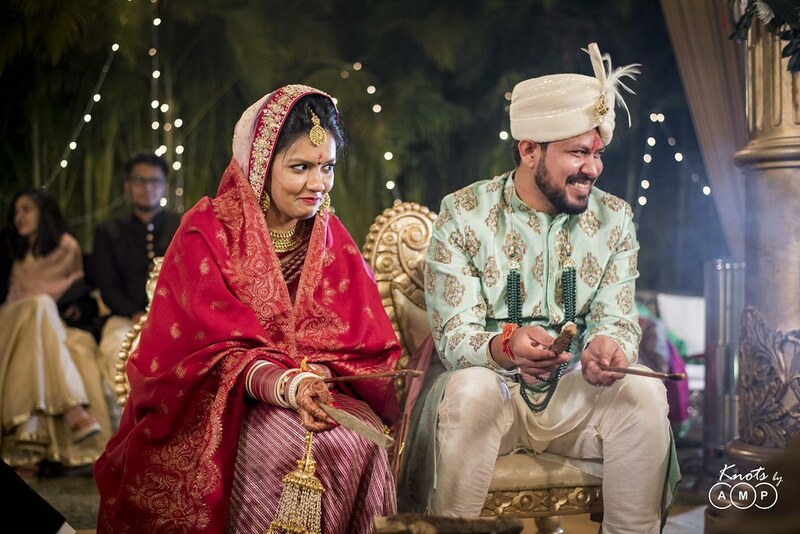 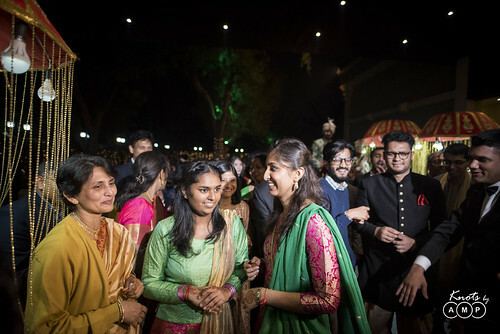 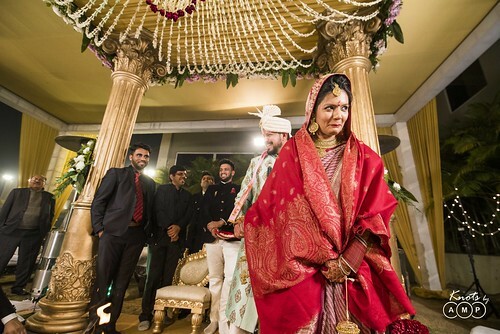 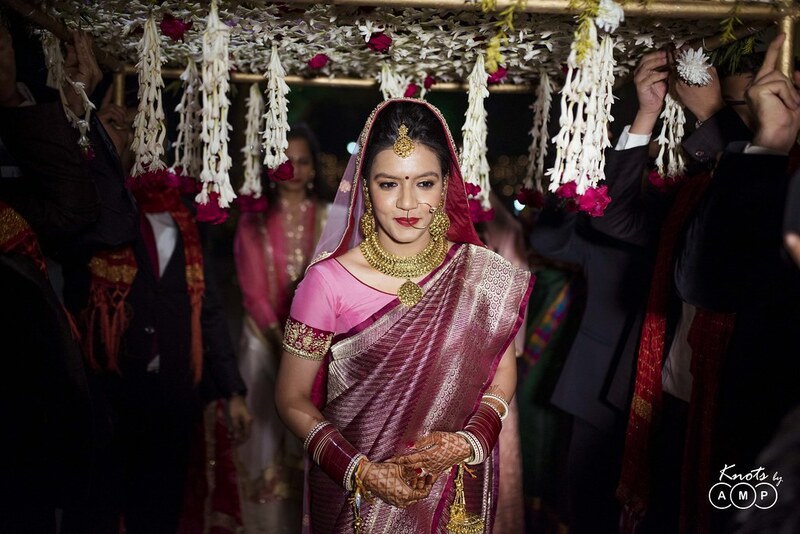 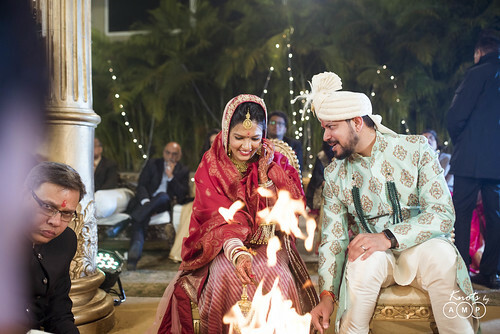 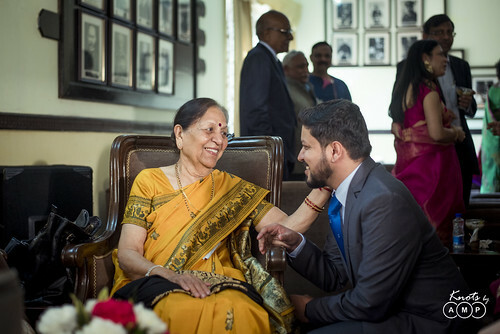 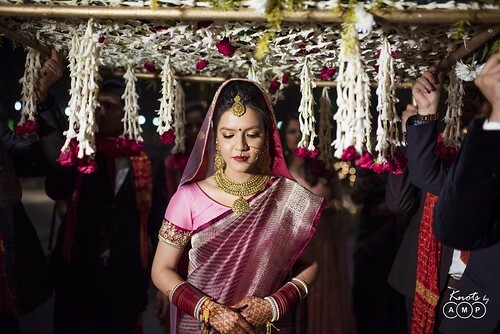 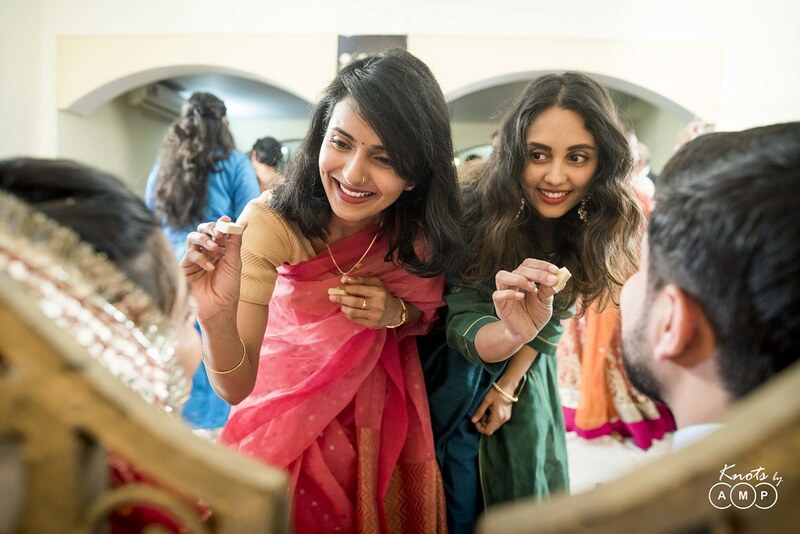 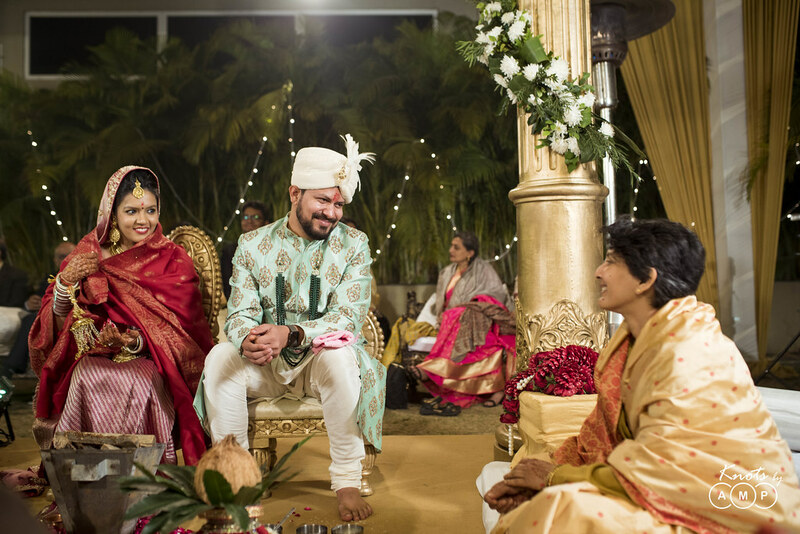 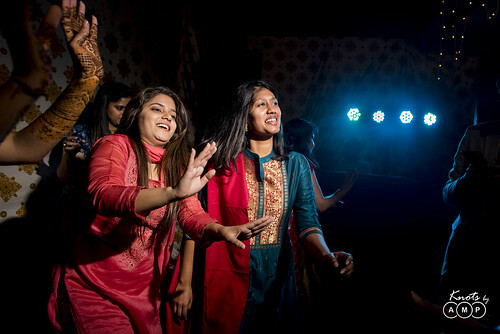 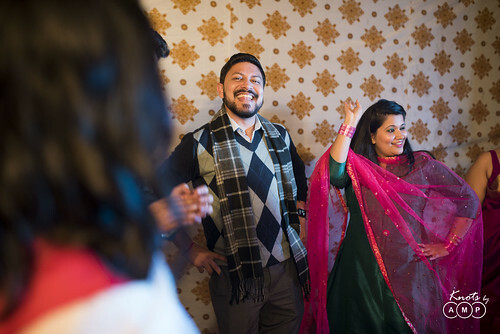 The engagement was followed by Mehendi and Sangeet in the evening at Barkha’s house in Delhi. 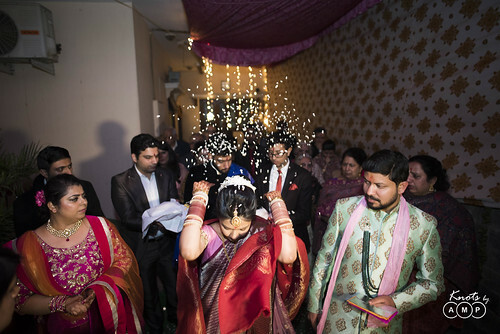 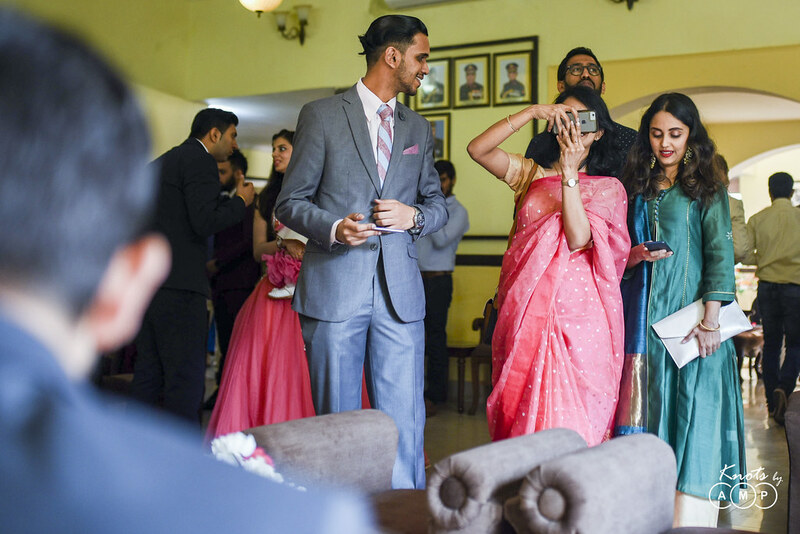 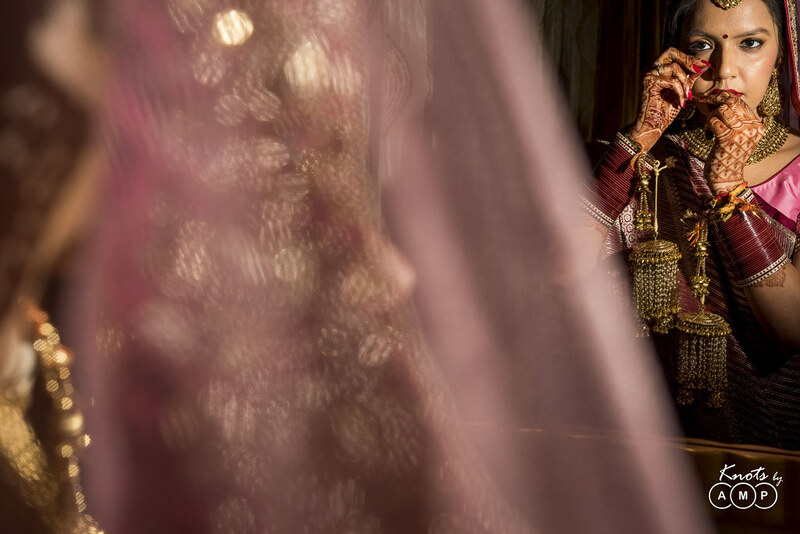 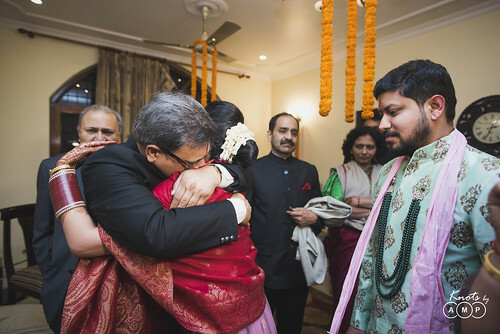 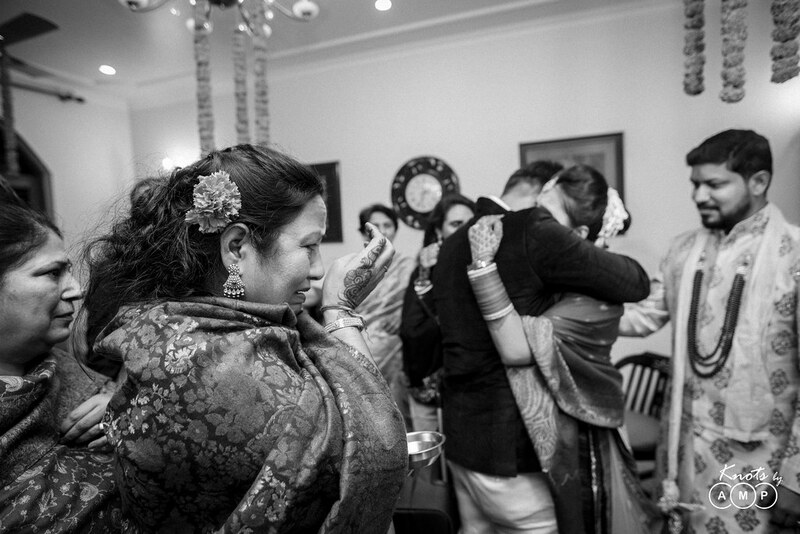 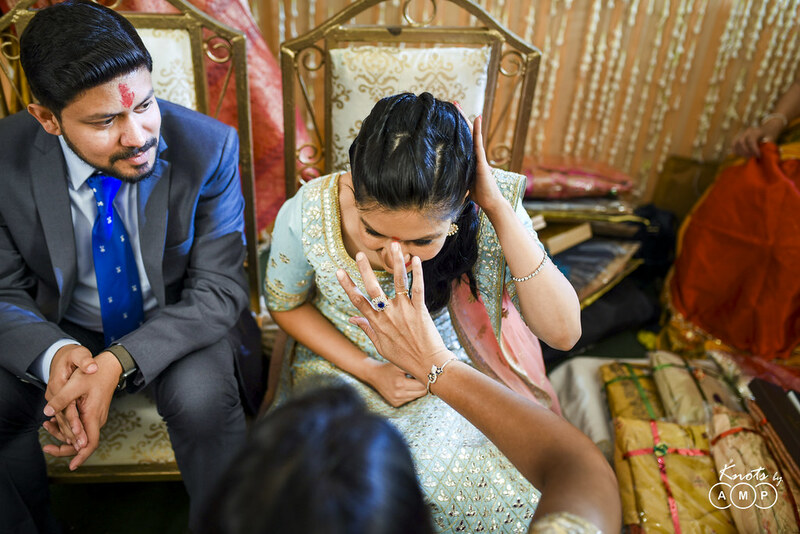 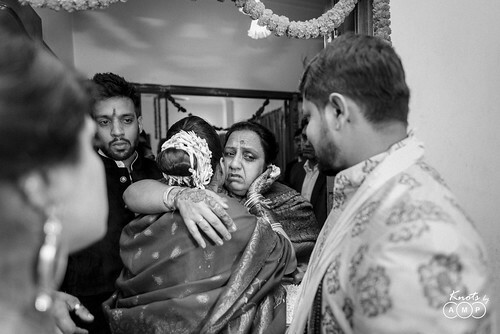 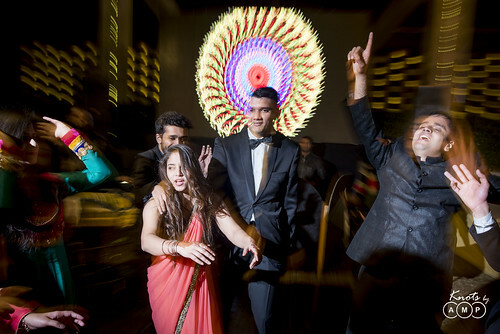 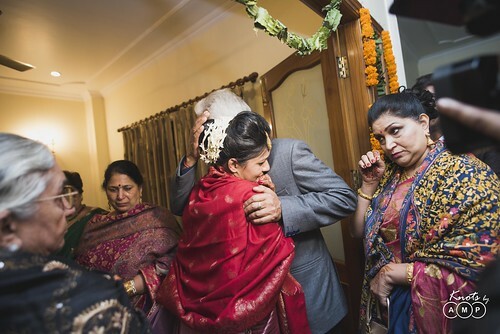 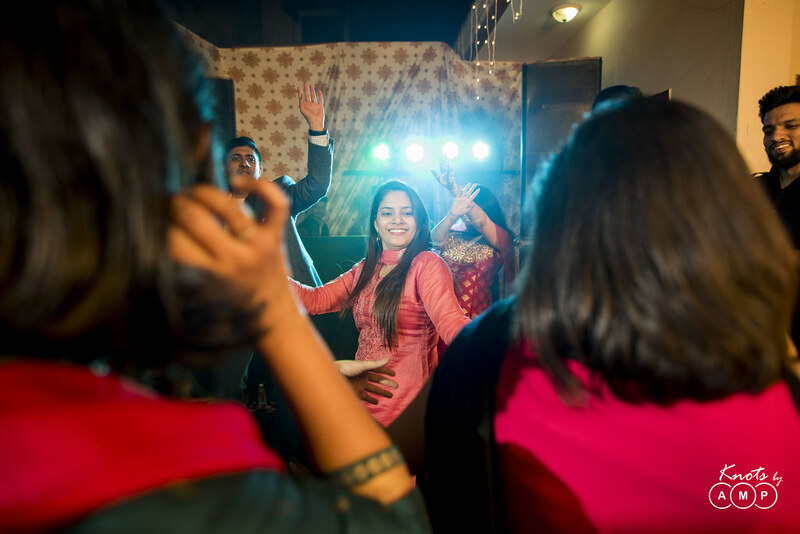 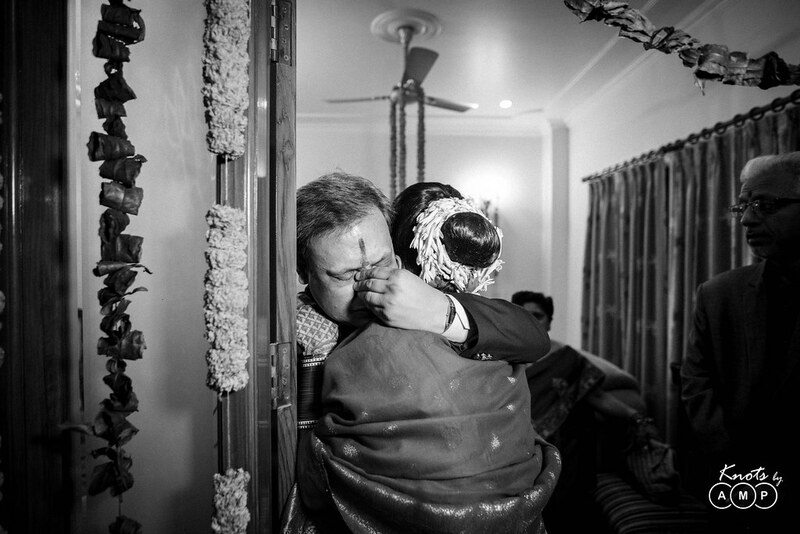 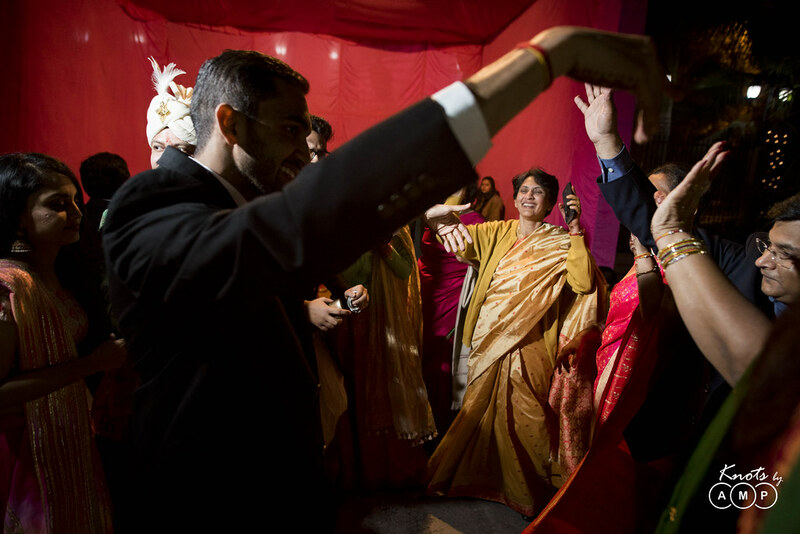 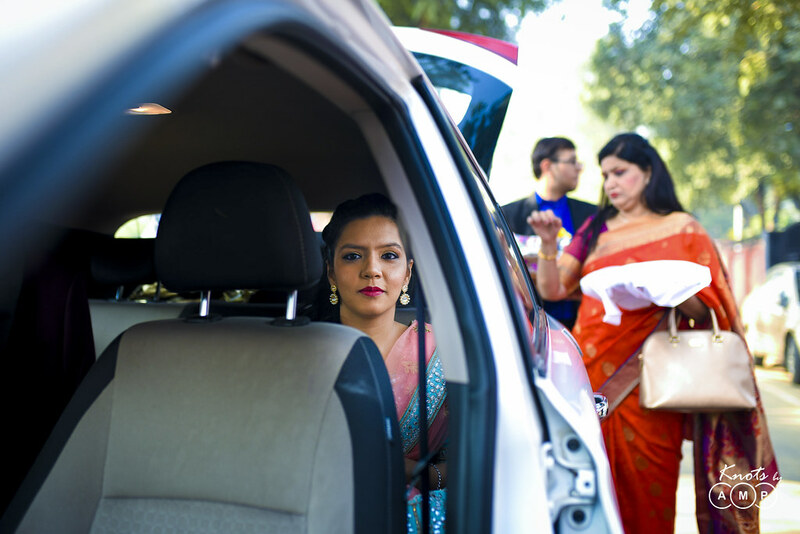 The bride, her family and friends danced till the wee hours of the night, with the groom joining the scenes too. 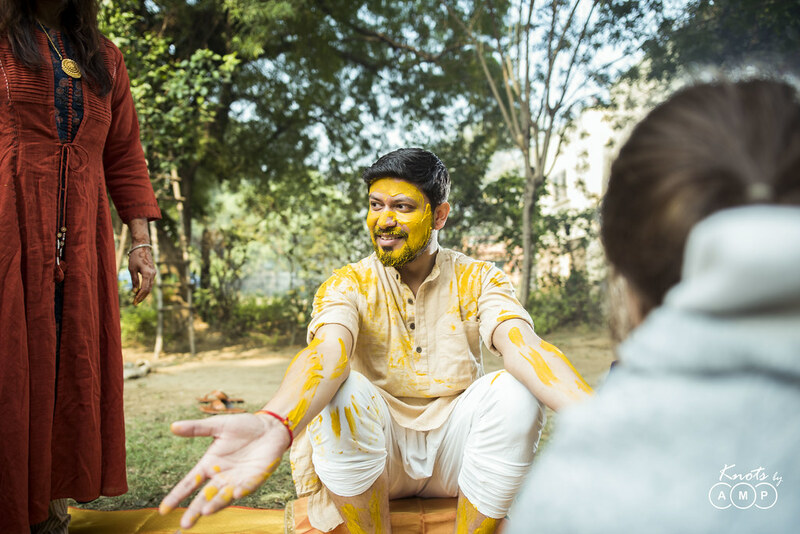 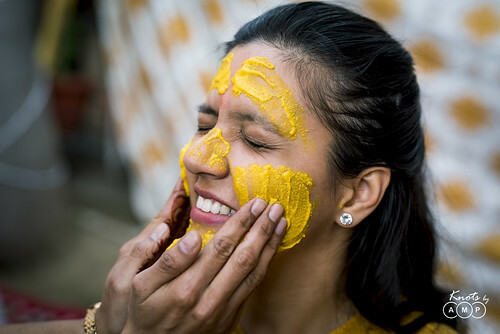 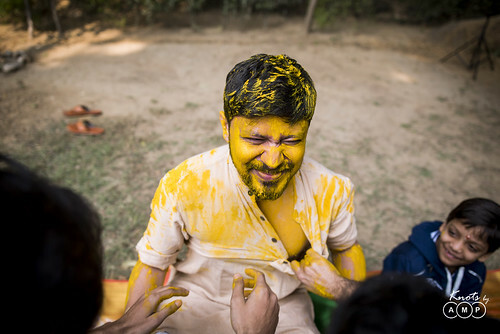 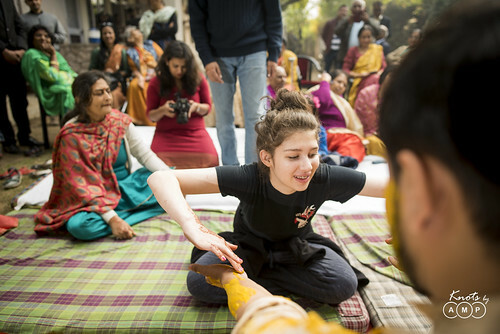 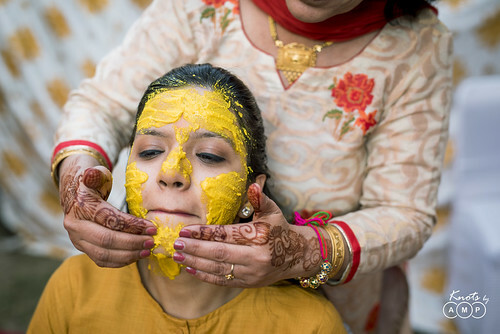 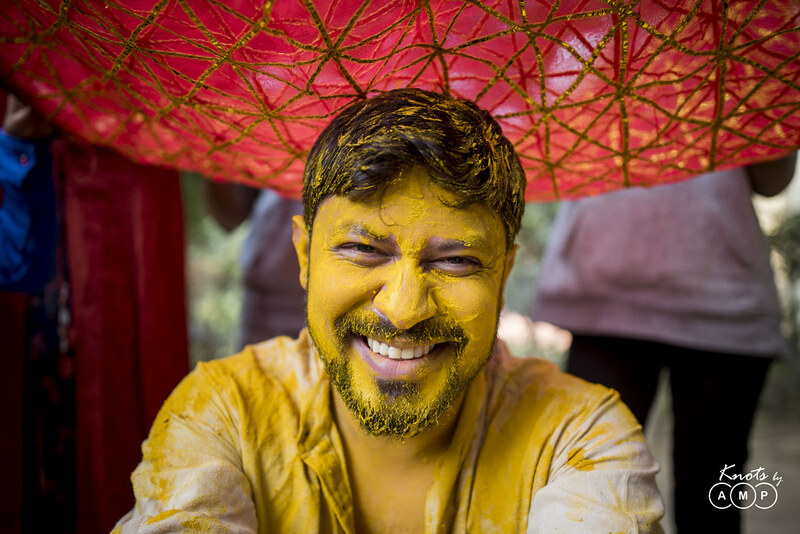 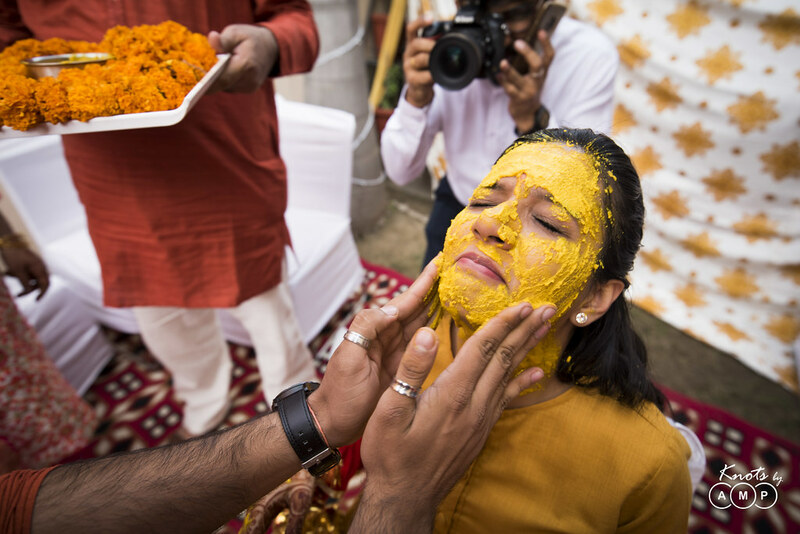 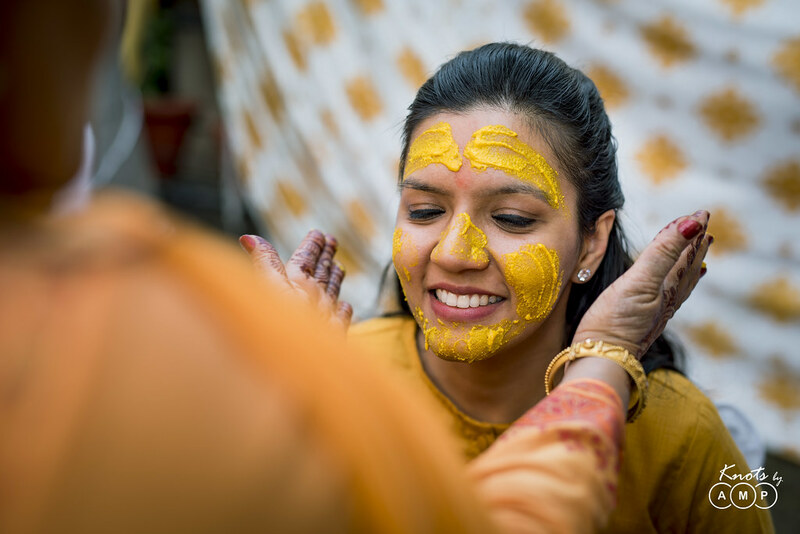 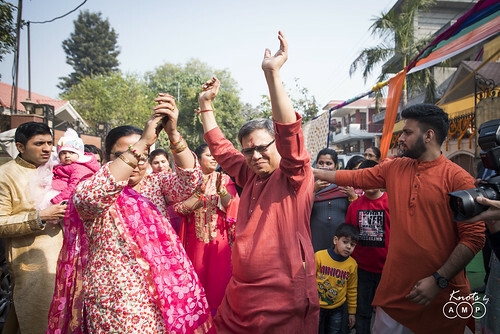 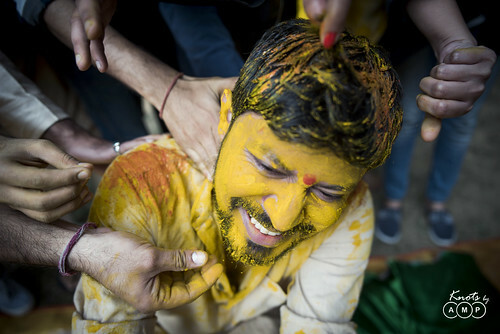 The next day started with the haldi at both the sides. 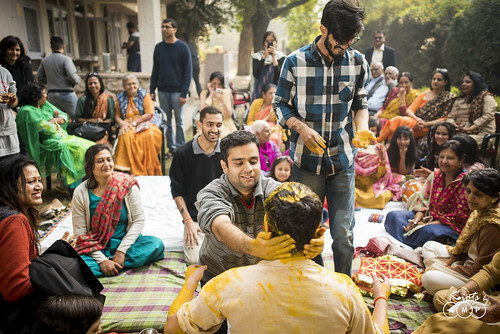 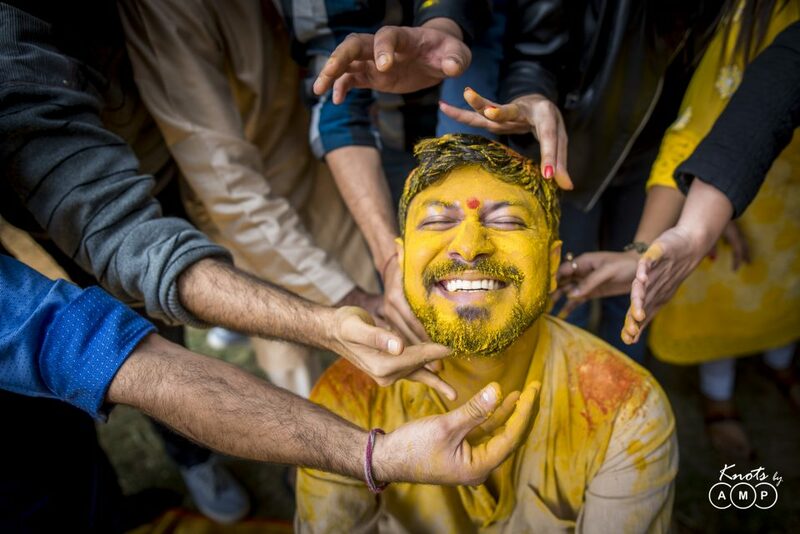 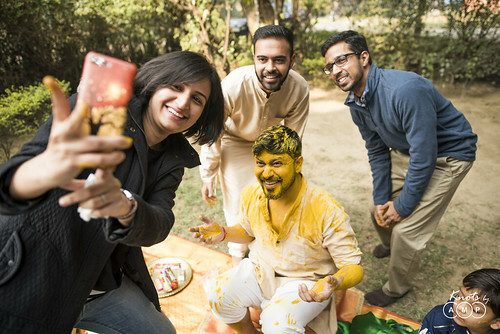 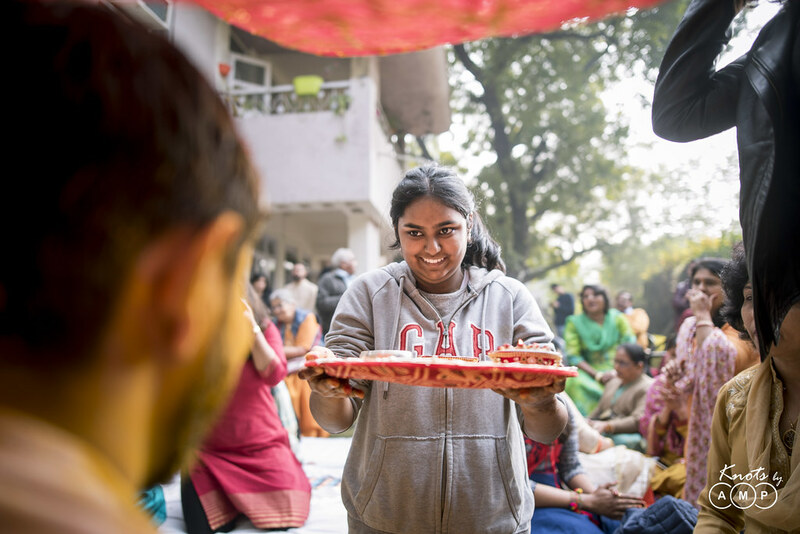 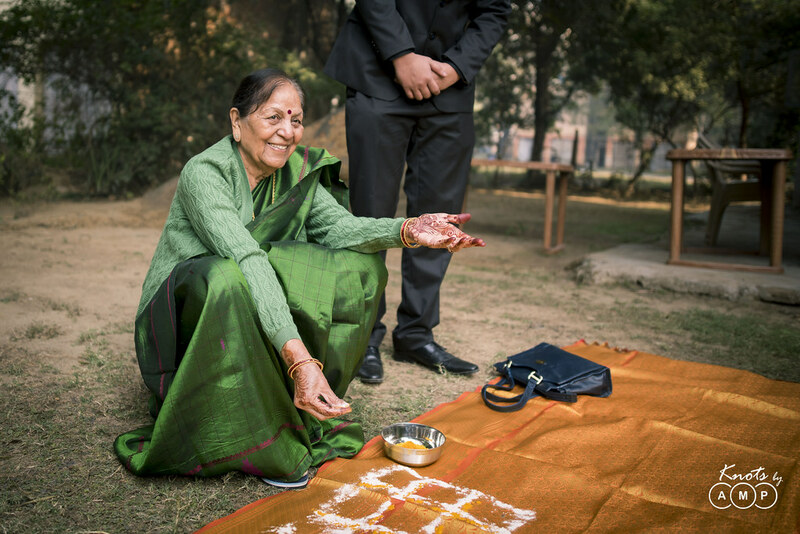 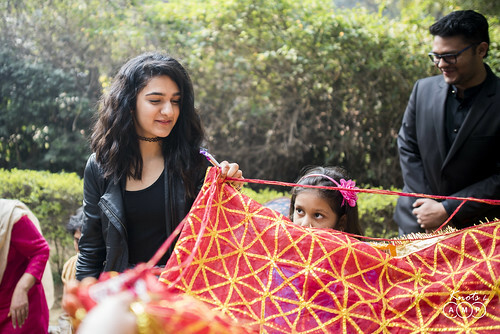 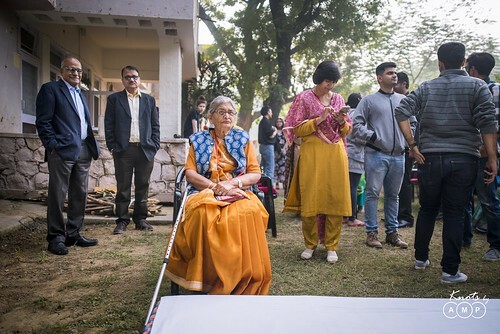 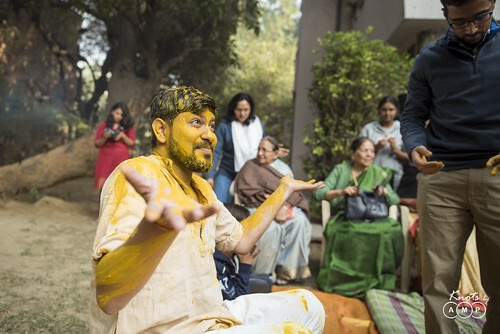 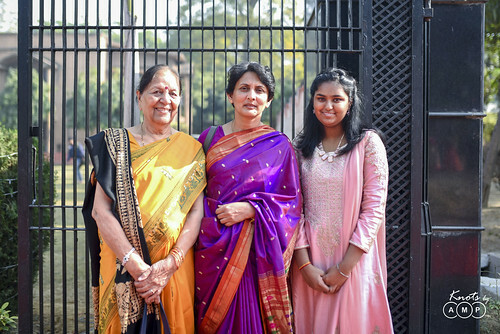 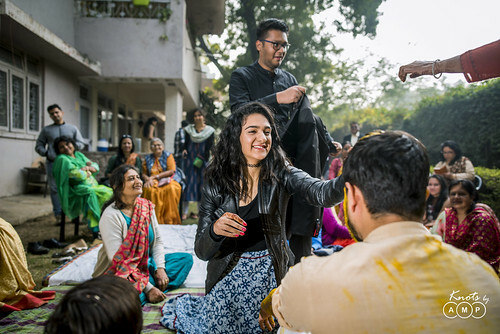 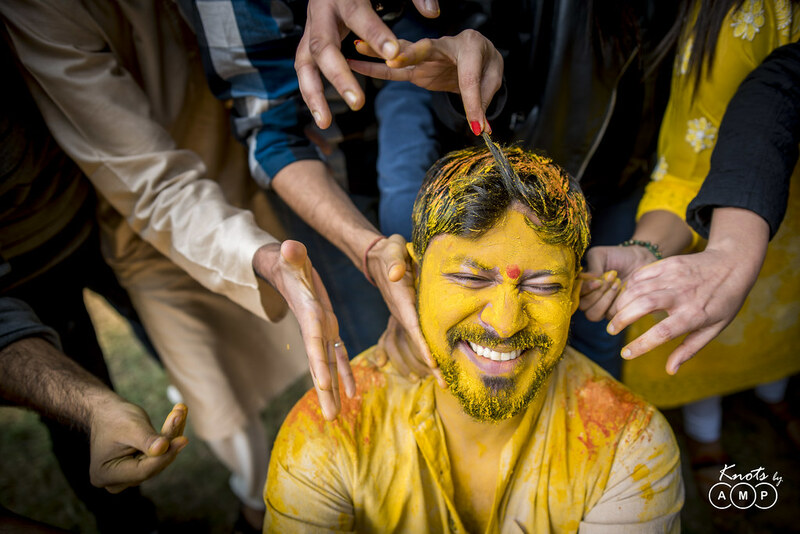 Sidhant’s haldi happened in the open lawn in the natural light with friends arriving and making it a holi haldi, Barkha’s haldi happened at her house, joined by her friends and family. 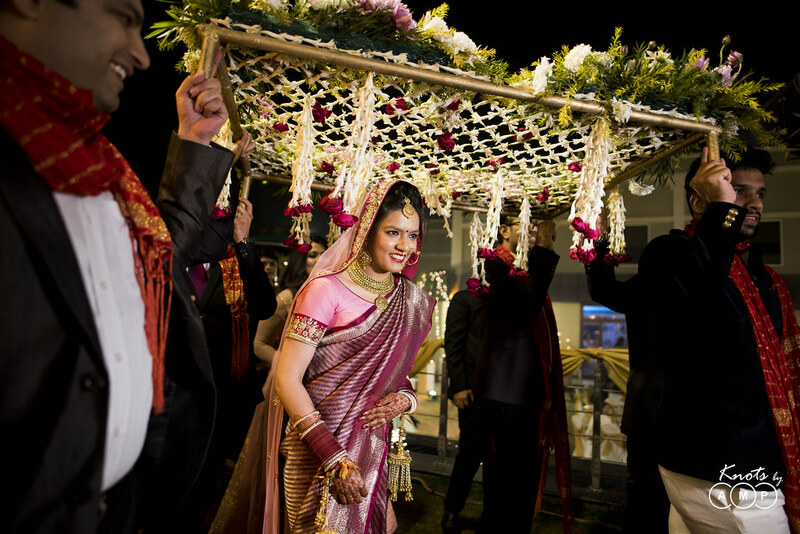 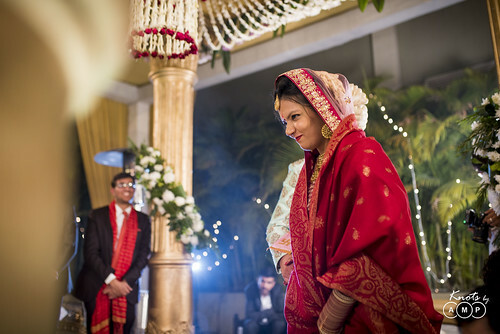 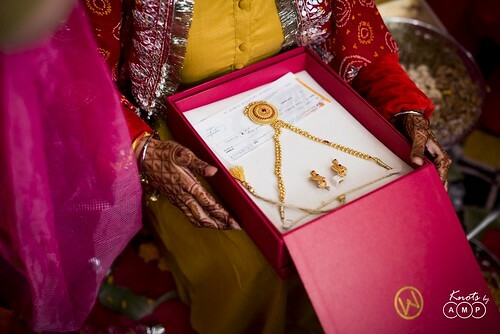 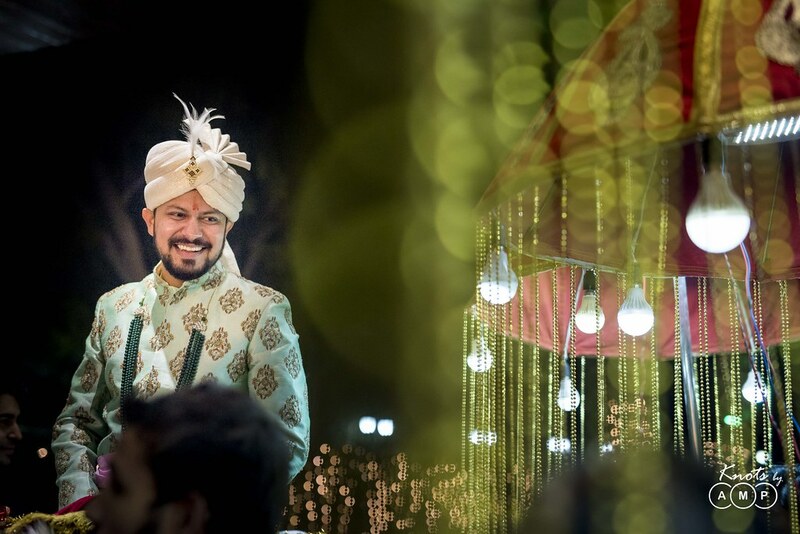 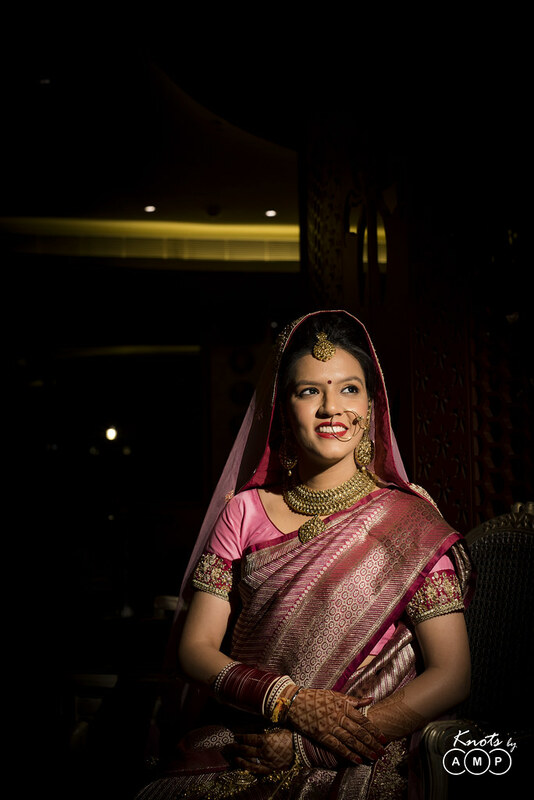 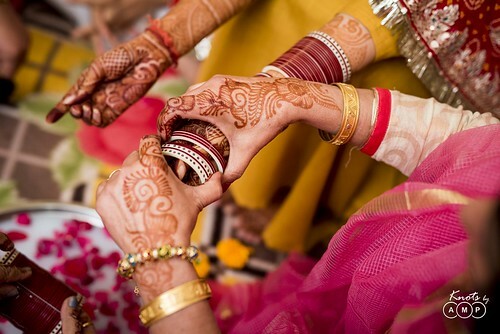 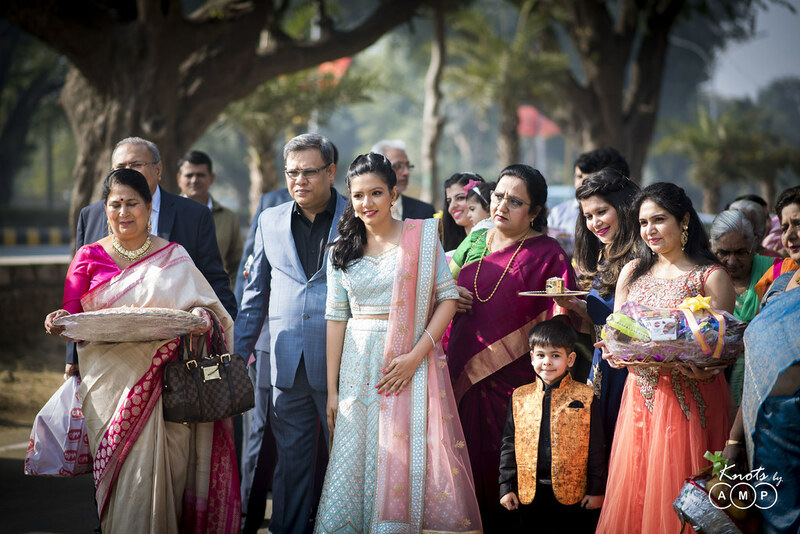 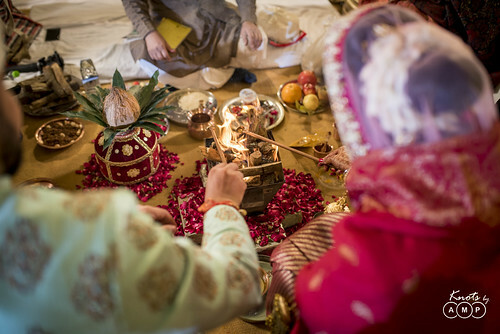 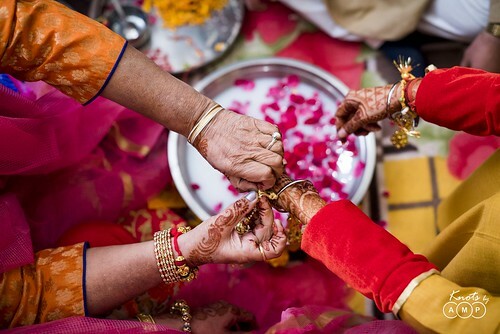 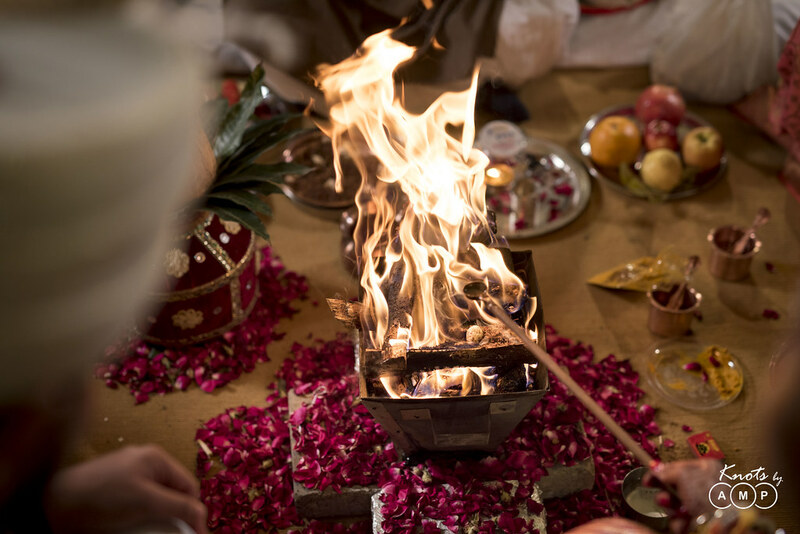 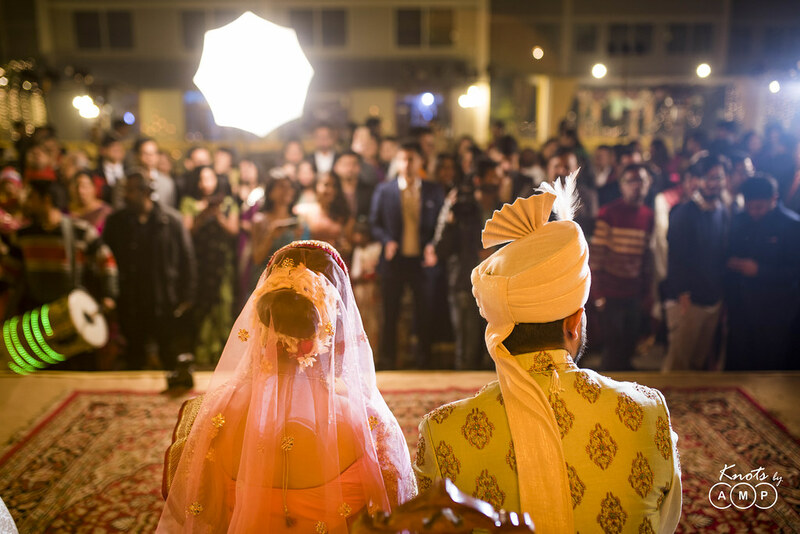 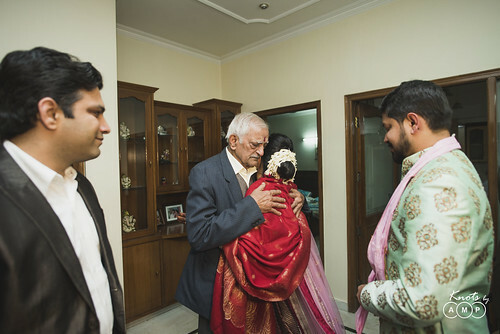 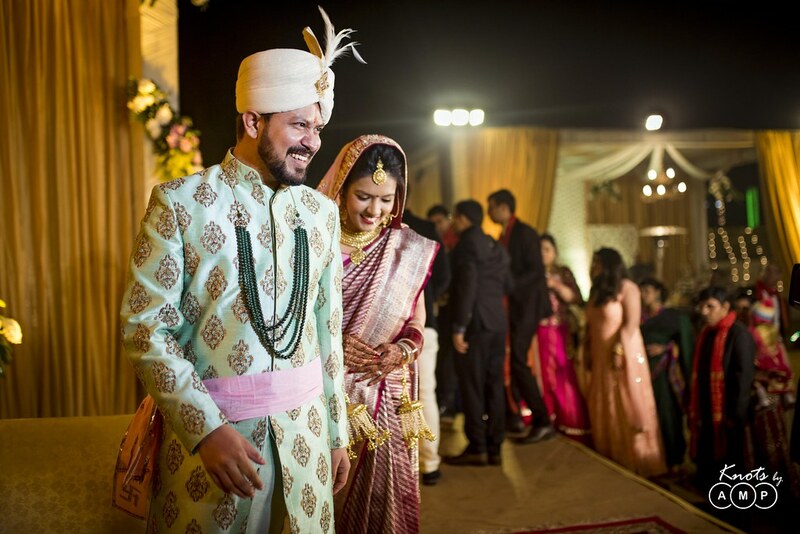 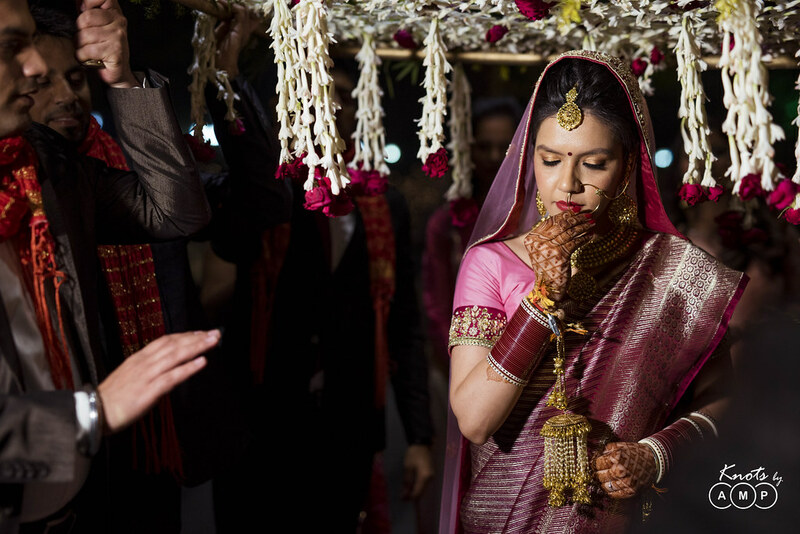 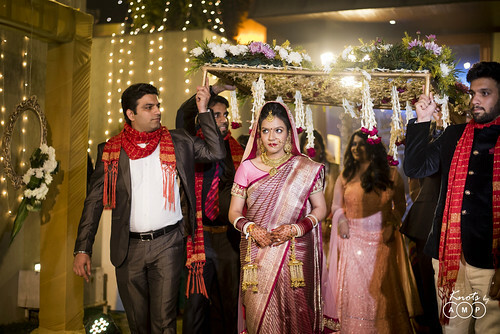 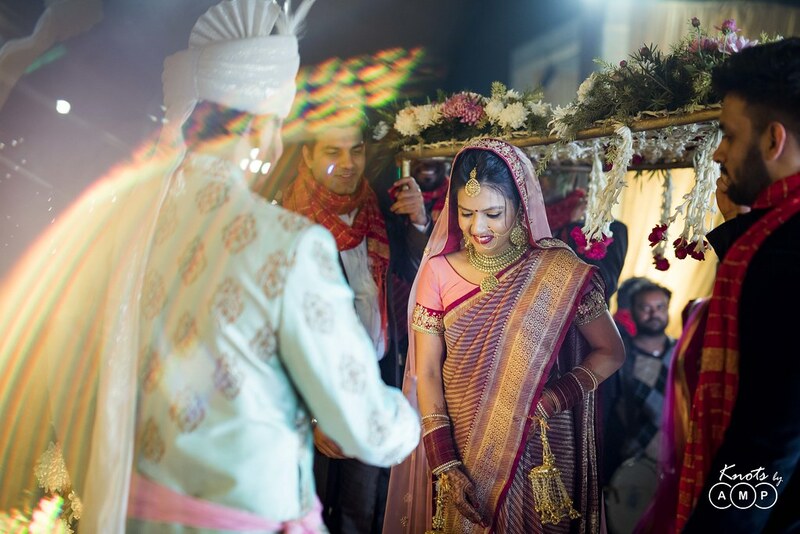 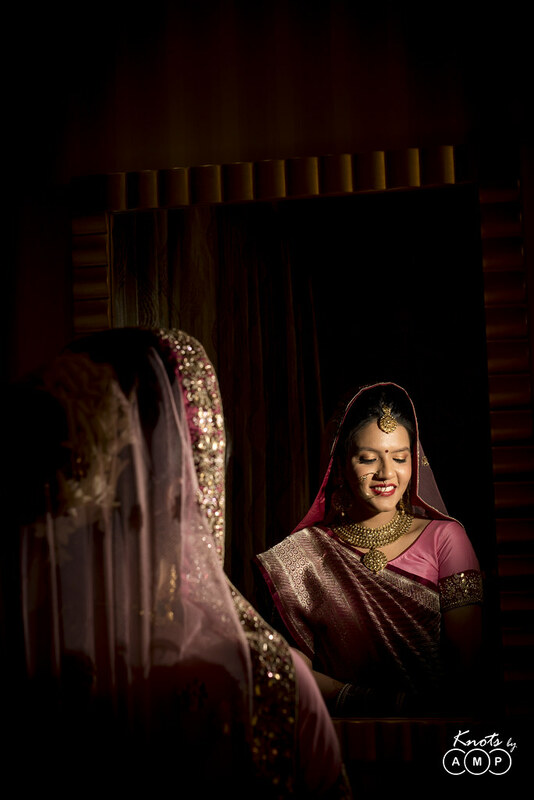 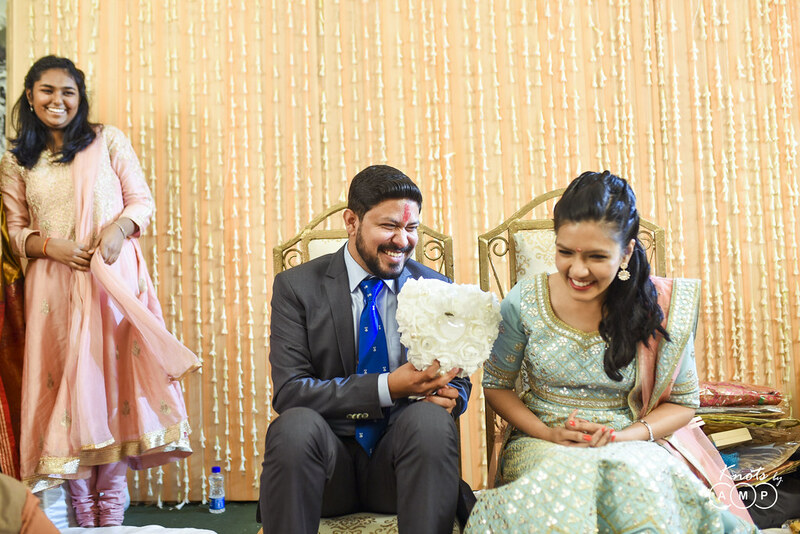 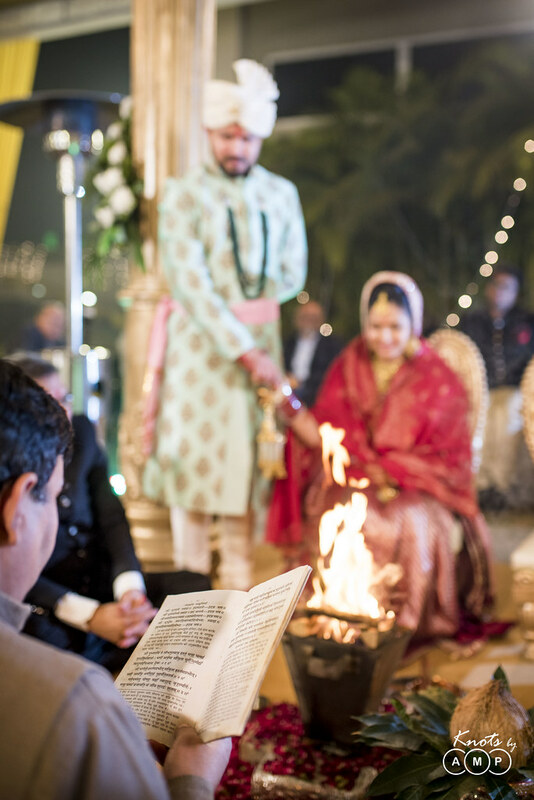 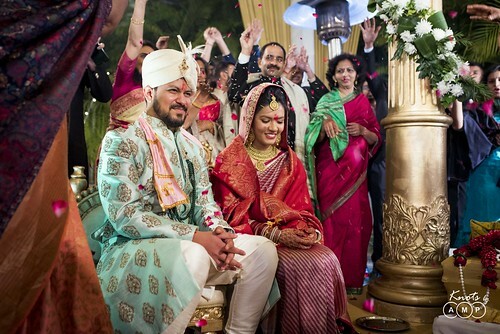 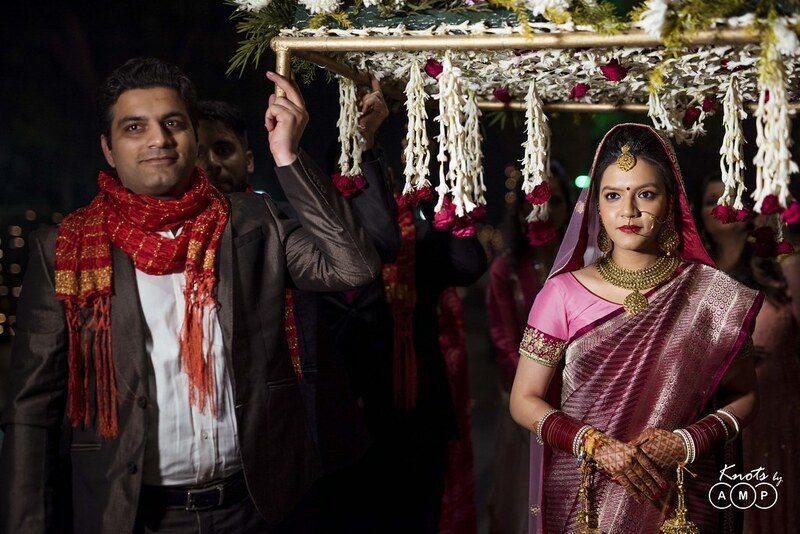 Lastly, the grand wedding happened at Atrio, Gurgaon summing up the wedding festivities perfectly. 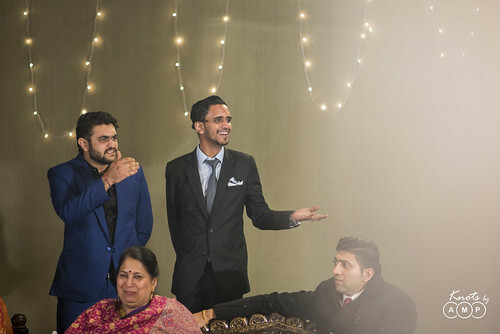 The venue was gorgeously decorated with lights. 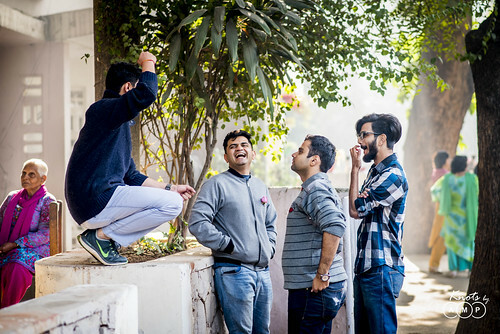 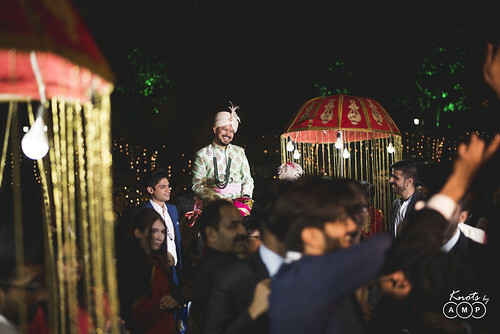 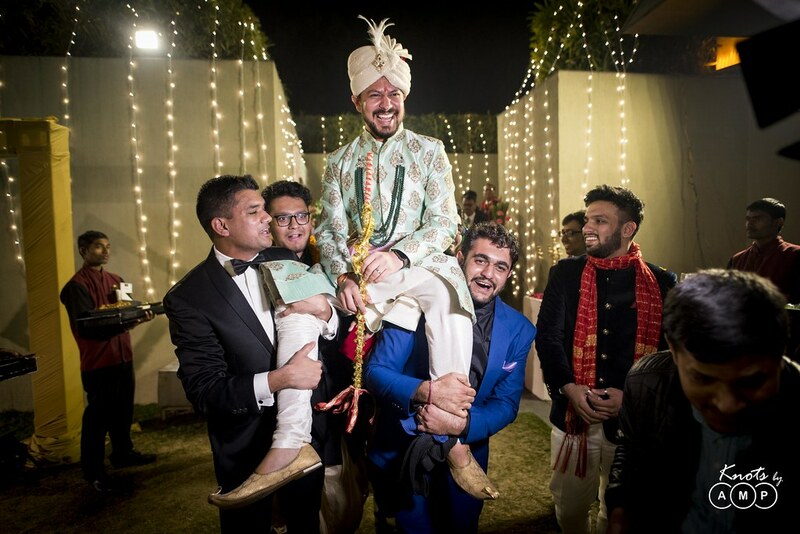 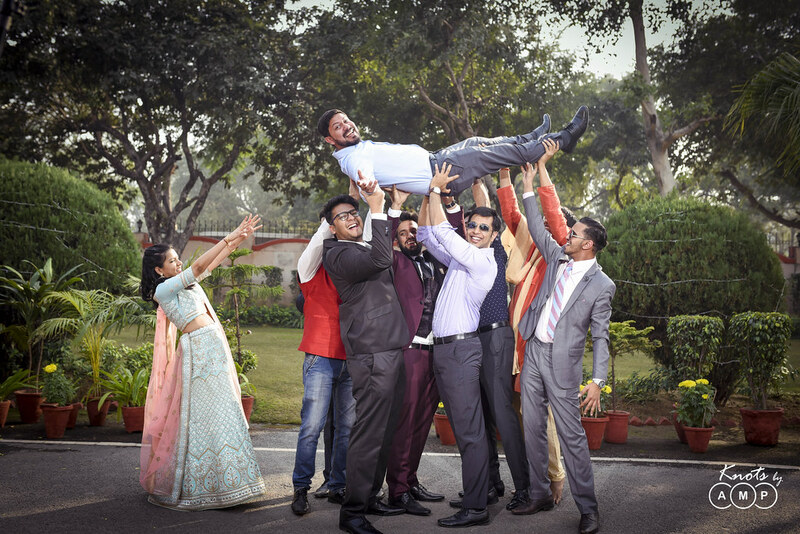 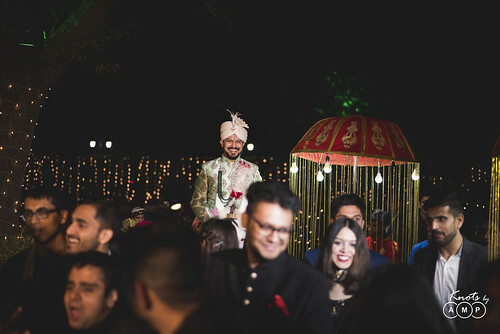 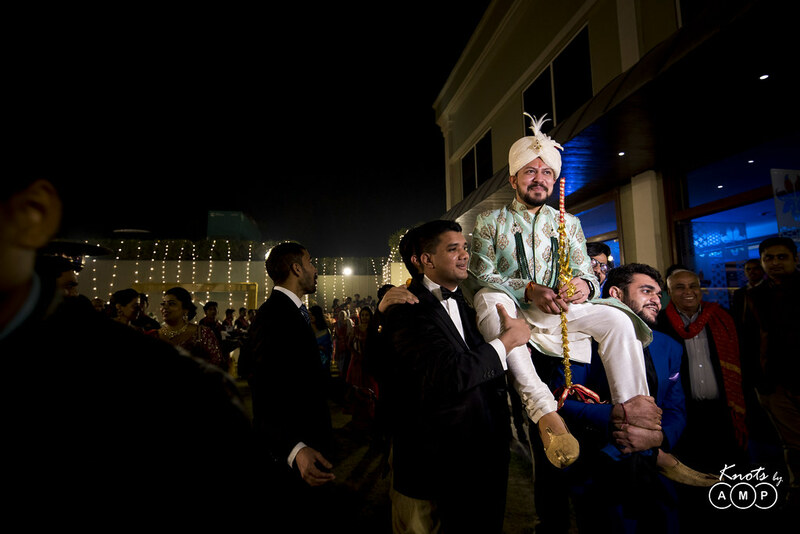 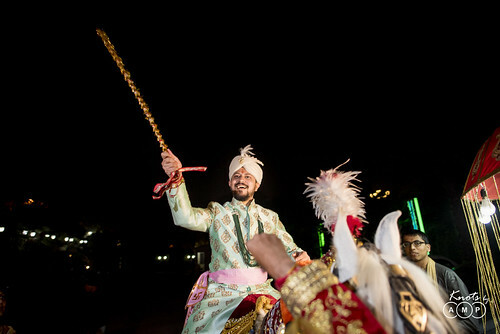 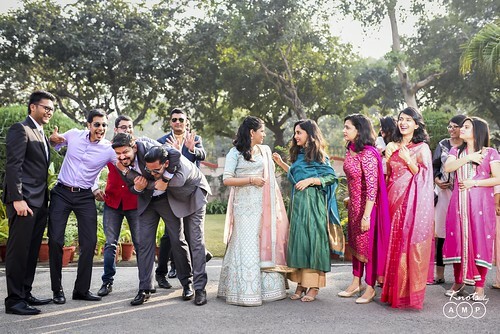 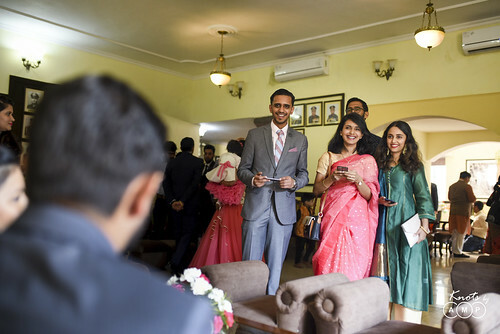 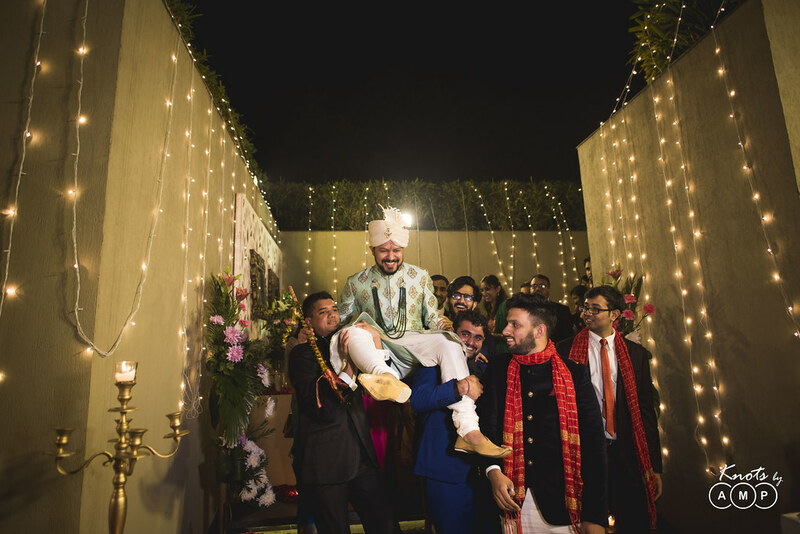 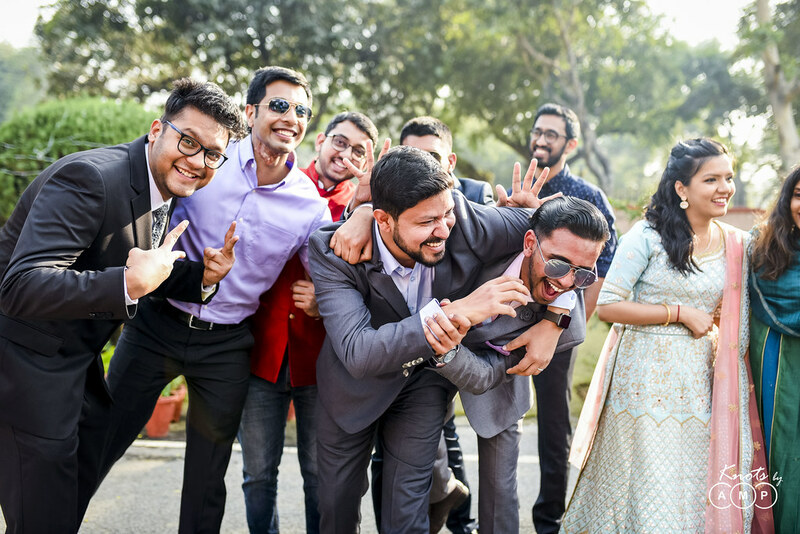 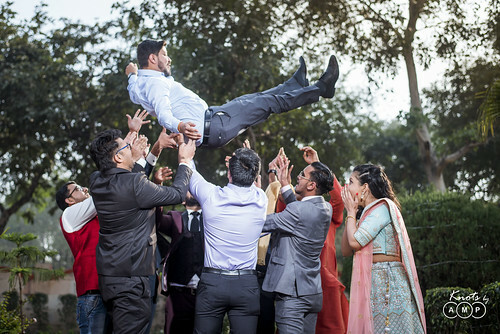 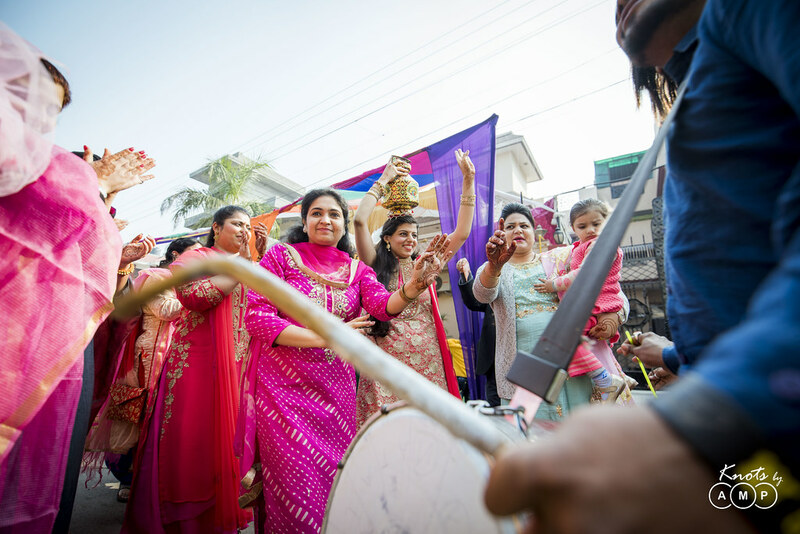 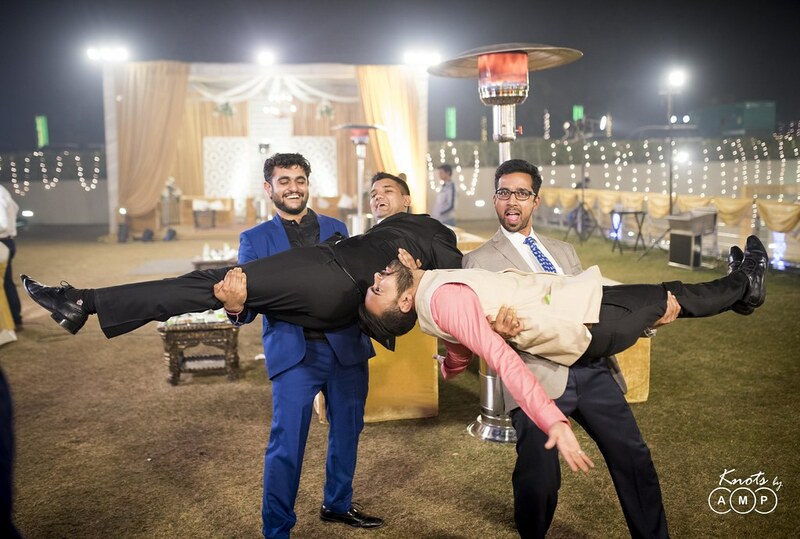 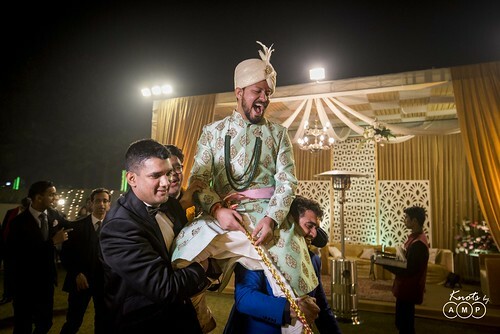 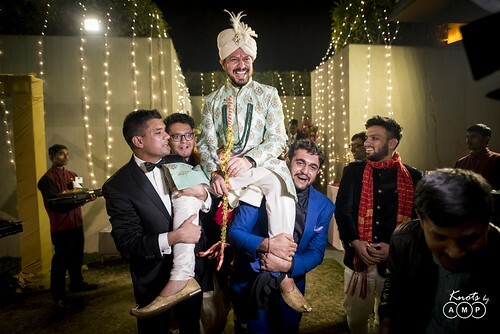 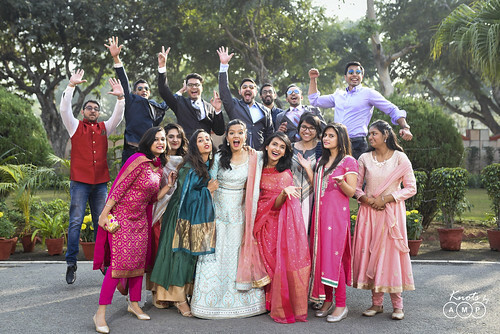 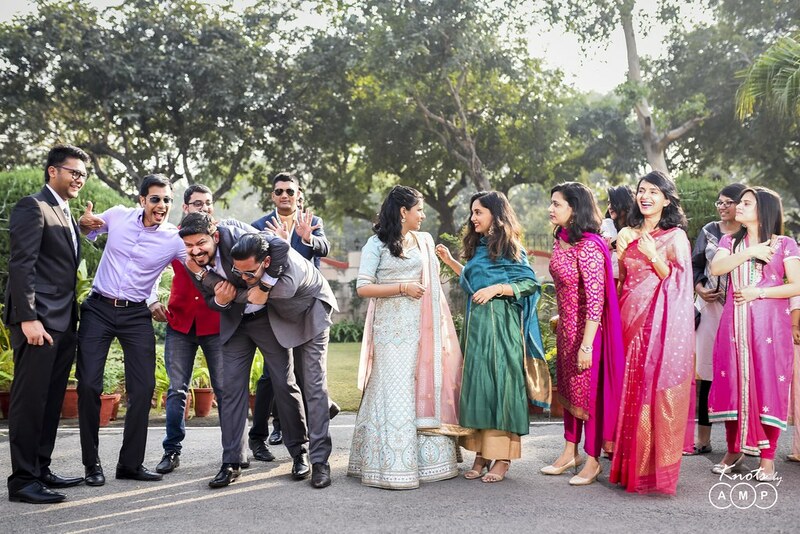 The groom reached the venue before time and the crazy friends went frenzy at the Baraat. 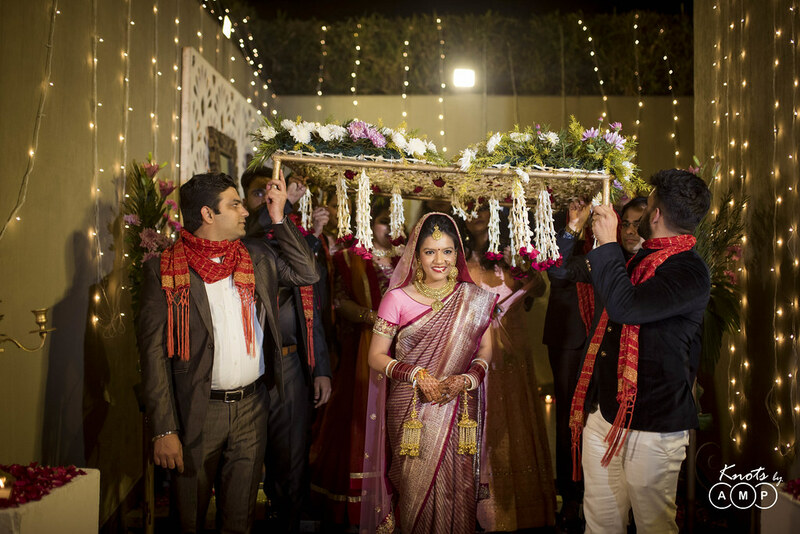 And as it neared midnight, Sidhant and Barkha said their vows to each other and promised to be together forever. 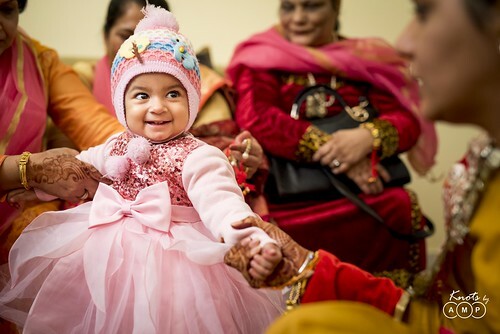 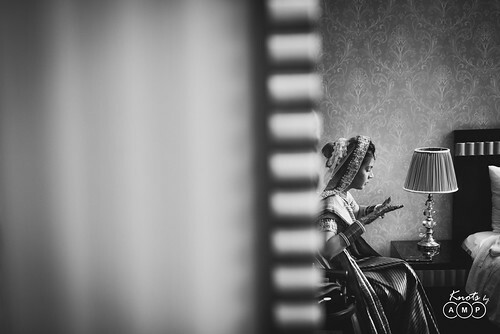 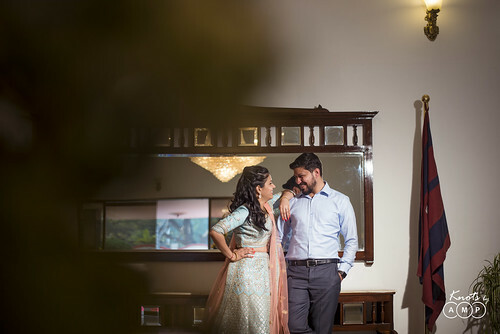 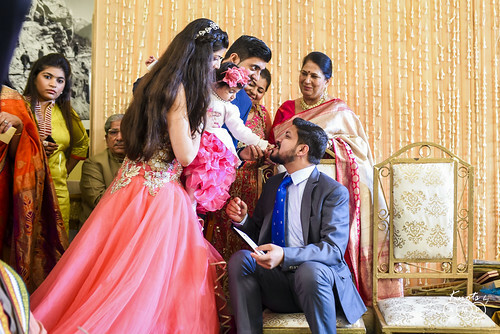 Thank you Sidhant & Barkha for choosing us to capture your special day. We absolutely loved to be a part of your big day and totally grateful to both the families for the warmth and love.  Team Knots gave us an amazing collection of memories. I love how they captured candid and traditional moments both. They were fun to shoot with, accommodating and understanding with the expectations and situations throughout the events. 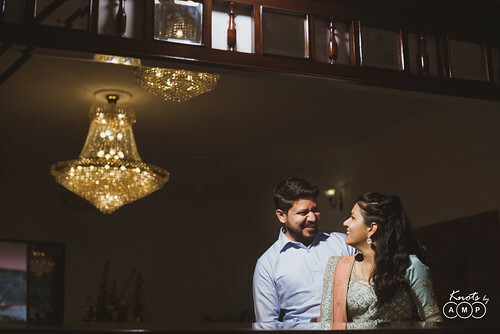 It’s been a few days since they sent us the photos, I’m still obsessed with them. 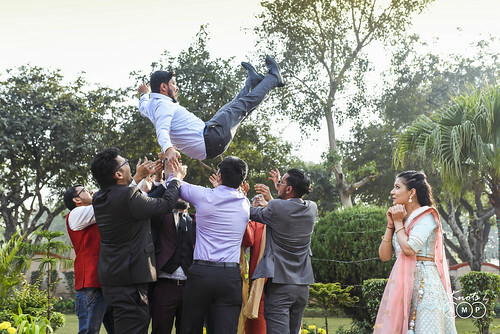 Would definitely recommend them.